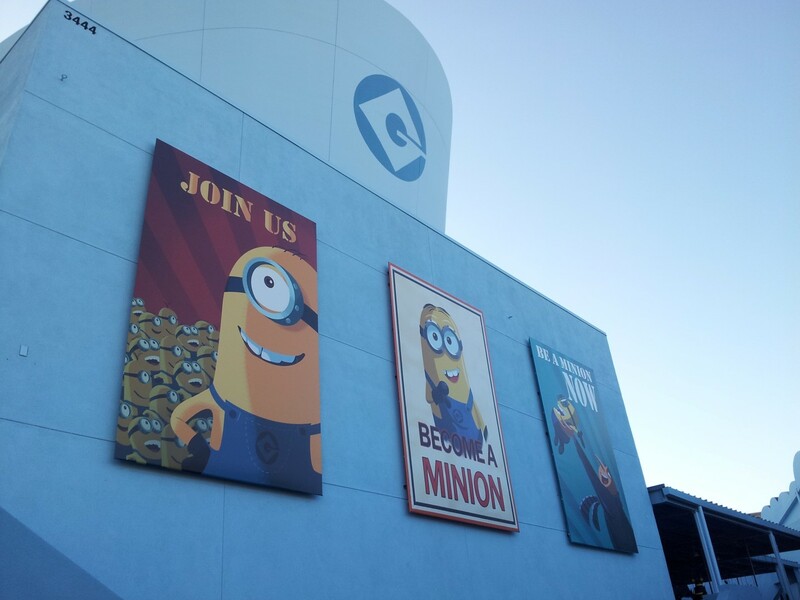 This week, while at Universal Studios Hollywood, we finally had a chance to check out it’s newest attraction; Despicable Me: Minion Mayhem! The ride and its new designated themed area look wonderful, especially since last time we visited the park it was still in an earlier stage of construction. 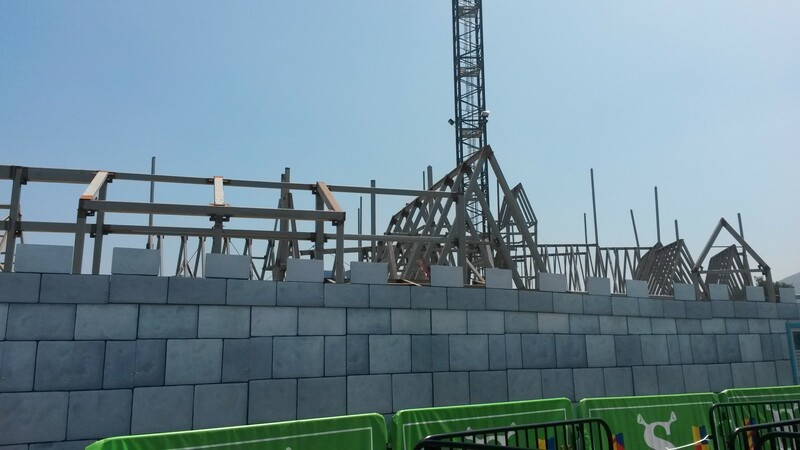 Riders will enter the brand new attraction through Gru’s house after they approached the ride through either ‘little England’, or ‘little France’. After entering the house, Gate-A riders will be sent up to the boarding level, where they receive their 3D ‘minion’ glasses. 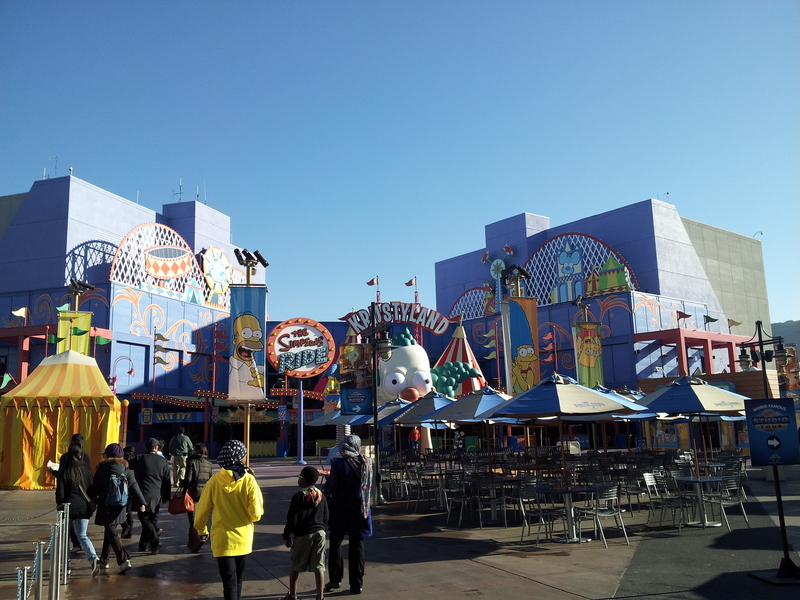 Riders that do not use Gate-A passes will exit Gru’s house on the left, merging into the switchbacks. 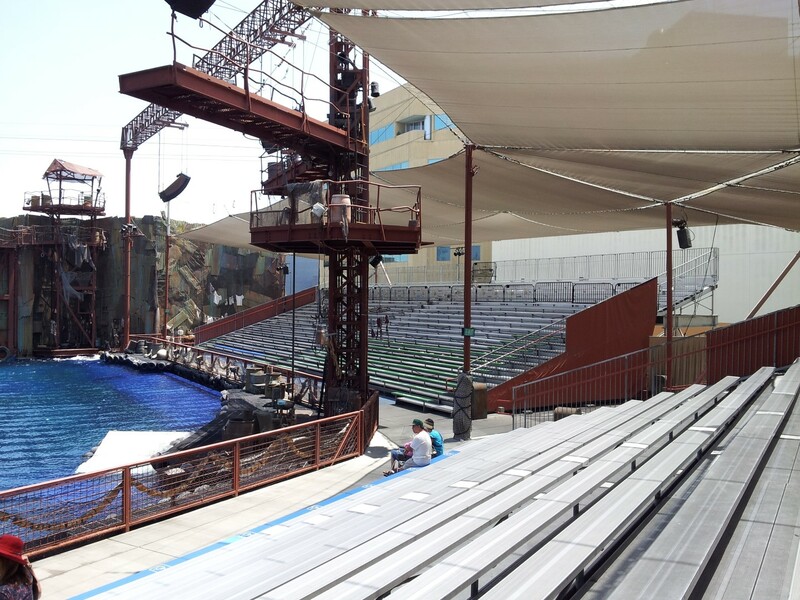 Most of the switchbacks are covered and filled with many interactive TVs, though the overflow switchbacks (located off to the side off Stage 22, behind the ride) do not have shade or TVs. 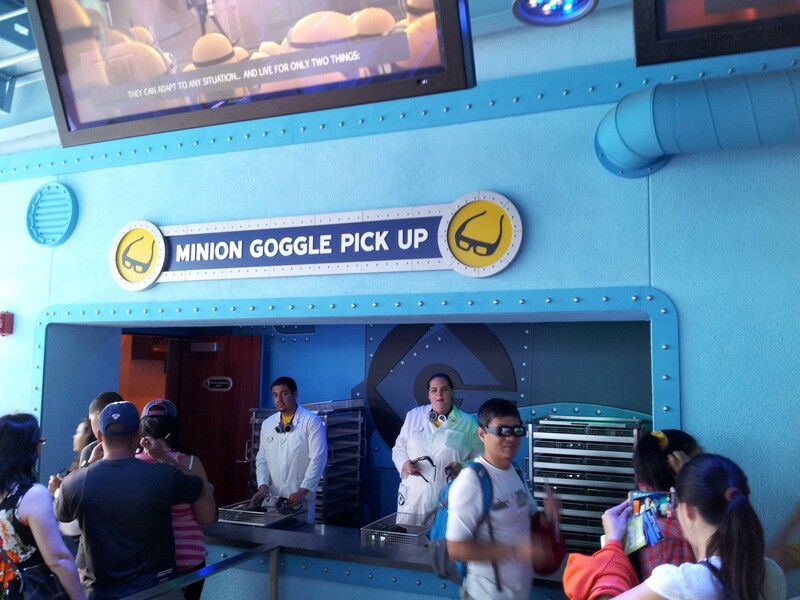 Once riders have received their minion goggles, they will be sent to either pre-show room. 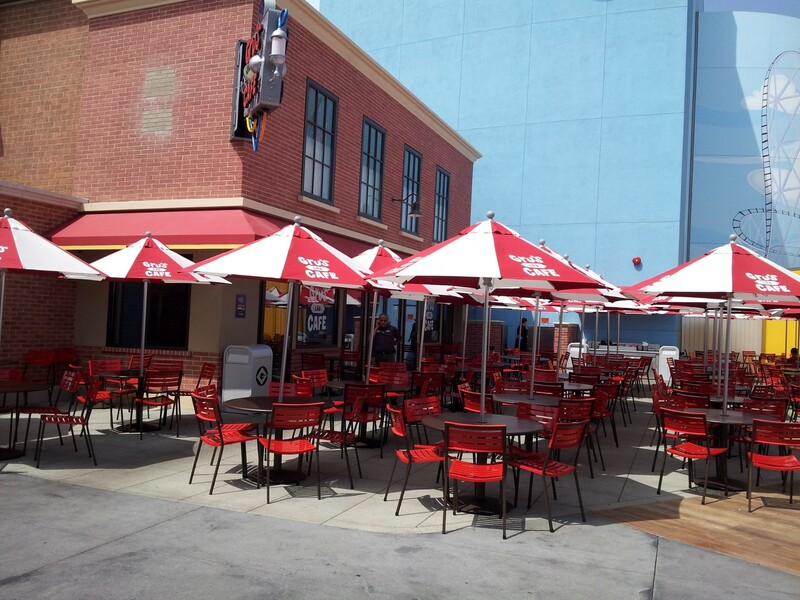 This is different from Orlando, as the new Hollywood version features 2 theaters. 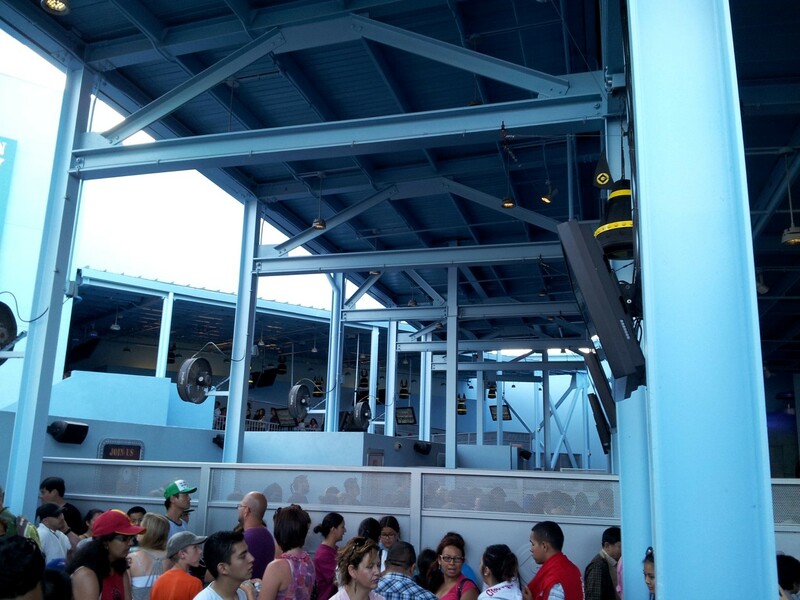 The rooms where guests board feature 6 rows, in which the crowds will be divided equally. 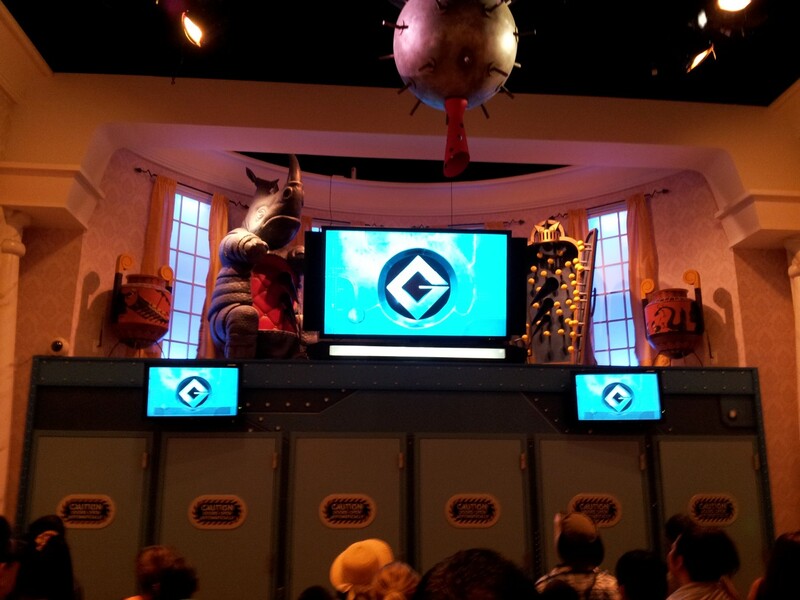 In the rooms, which are themed to living rooms, riders will watch 3 screens on which the Minions, Gru, and his three daughters give instructions and entertain the crowd. 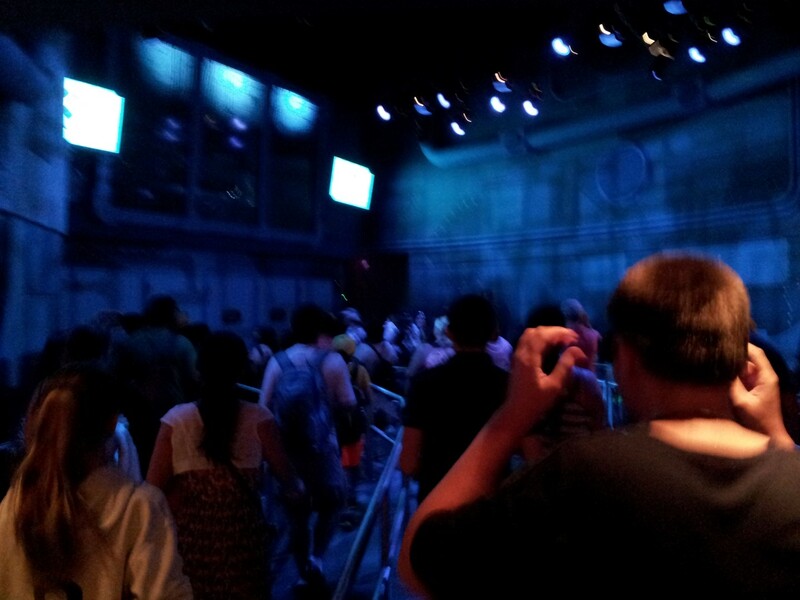 The doors of the living room will open, and guests are now moving on to the prep-lab pre-show, where Gru speaks to the guests, before they’ll enter the real ‘lab’, where the guests will be ‘turned into minions.’ In the prep-lab, guests will experience antics such as being scanned by high-density lasers, and shot by a ‘fart-gun’, as featured in the film. Through a series of events, and a humorous approach, riders will find out that Gru’s daughters will be training them how to be minions. 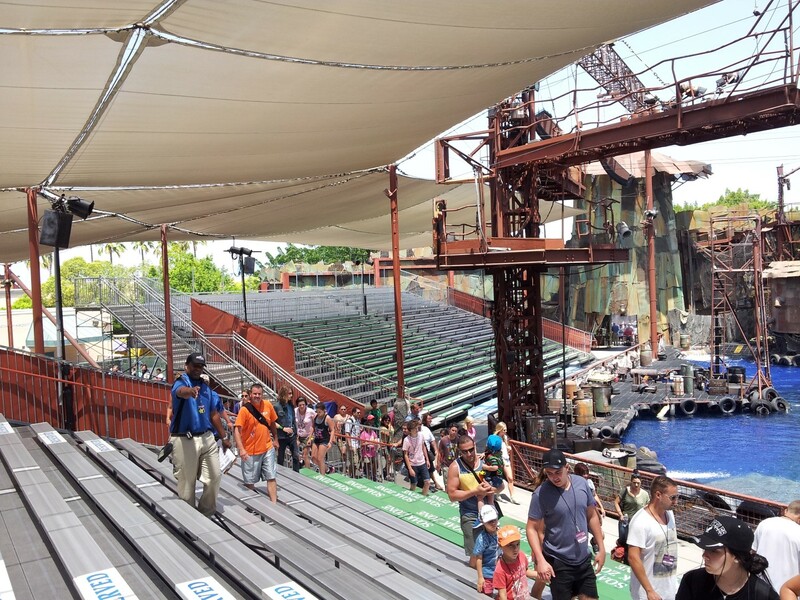 Once riders enter the actual theater, they will take place in one of the several rows of seats, that match their boarding rows from the first pre-show. 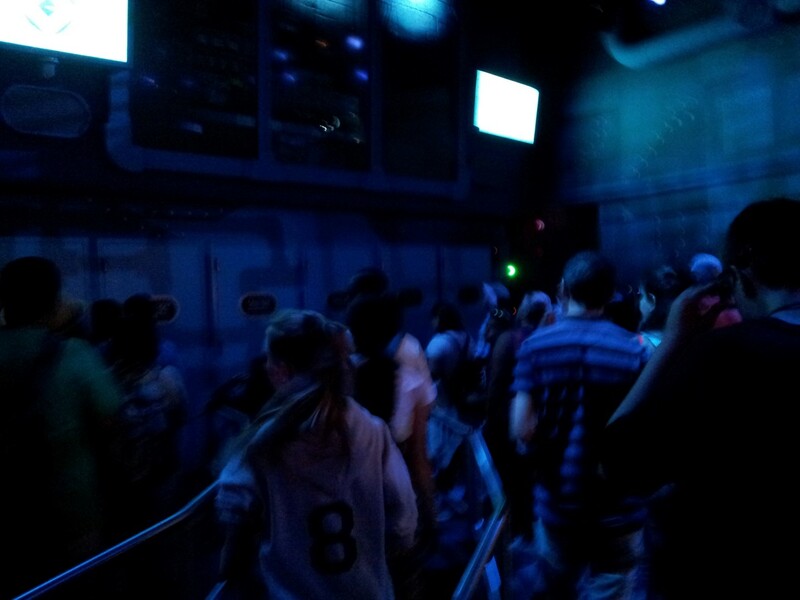 Once the attendants lower the lapbars, riders are required to start wearing their 3D ‘goggles’, and the ride can begin! 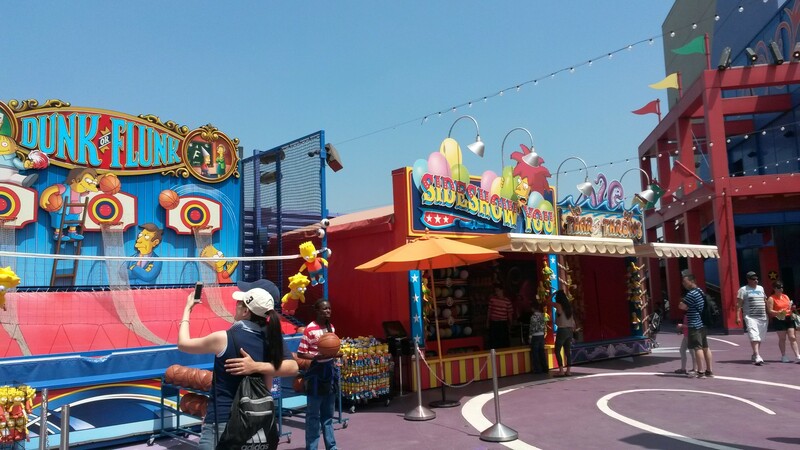 The ride begins with riders with one row of riders being put on screen, while the minion transformation gun is shot at all riders in the theater. 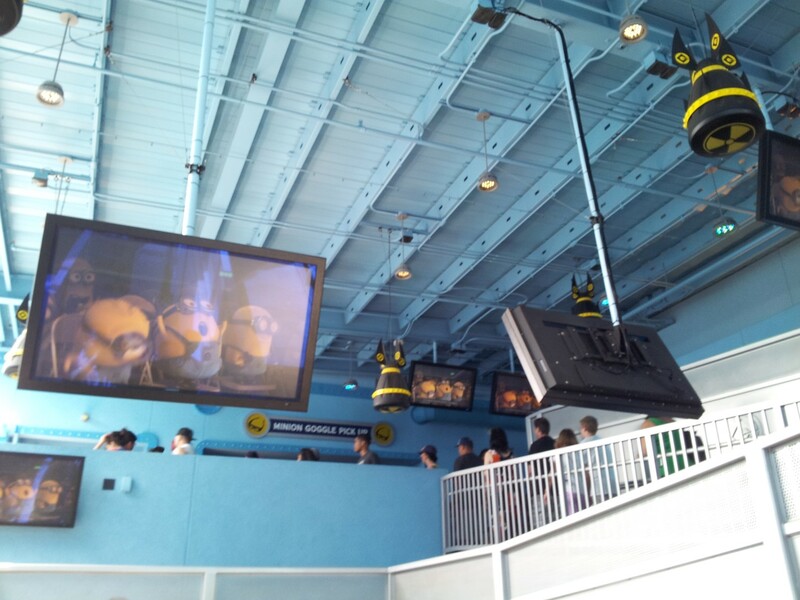 Once riders are shot, the row on screen shows all riders being changed into minions, as well as does a monitor on each row. Riders, now as minions, are dropped into a rigorous training course in which they must pass obstacles, such as dodging lasers, jumping over a prickly cactus, and stopping on cue to avoid being hit by a giant boxing glove. Unfortunately, through a series of mishaps, the riders end up on Gru’s restricted floor, where he is clearly testing large explosives, and then into the anti gravity recycling room. Before riders and Gru’s three daughters are crushed to death, the anti gravity room is turned off by Gru, and he takes everyone to the girls adoption anniversary party. This is set up to be an elaborate theme park like room, where riders experience some rides, before being hit by accident by the transformation gun again and being turned back into humans. 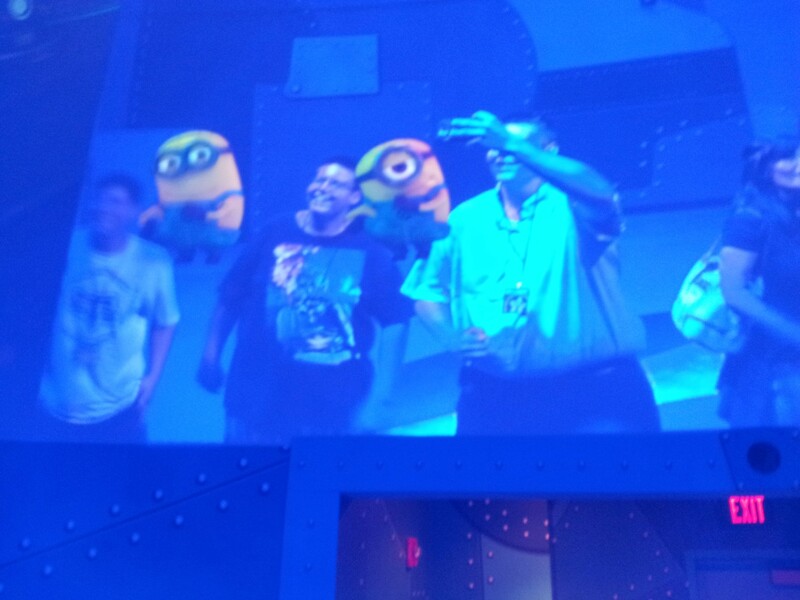 The ride ends and riders enter the post show, a room surrounded by screens, one showing a minion DJ, and the others showing the riders on screen partying with minions. 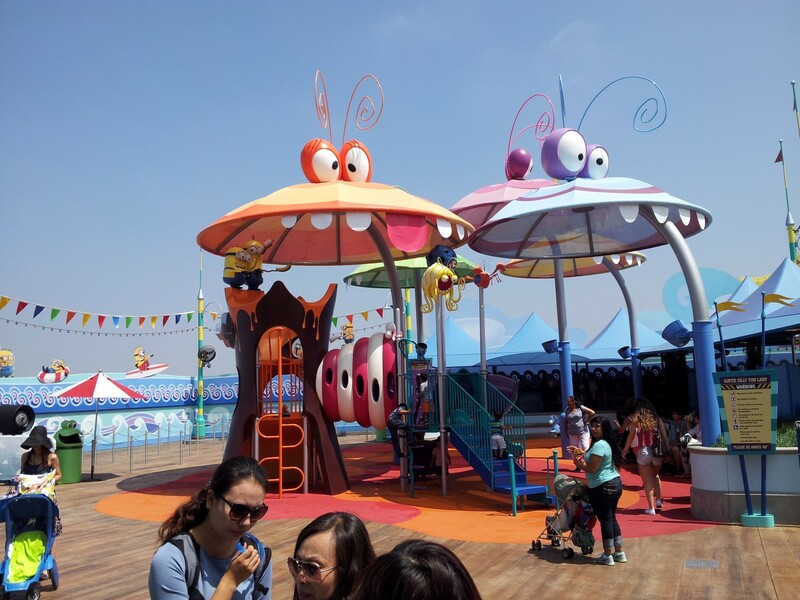 For what may be considered a ride for younger audience, this ride is surprising forceful and a must ride for all visitors looking for a good time. Looking like an obvious family ride, we were very surprised with the ride. 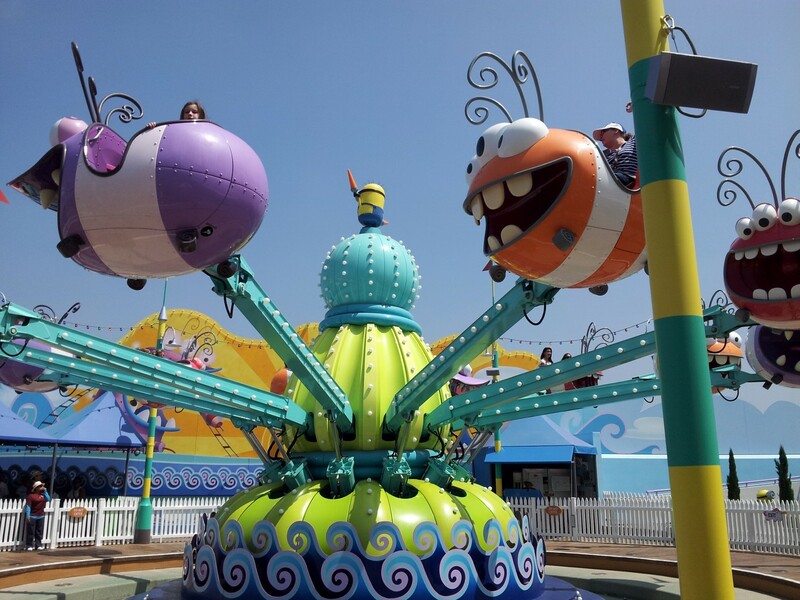 It’s a great ride for people of all ages, and it’s one of the very few rides in the world where the pre- and post- shows really match the ride-experience, in a fun and interesting way. 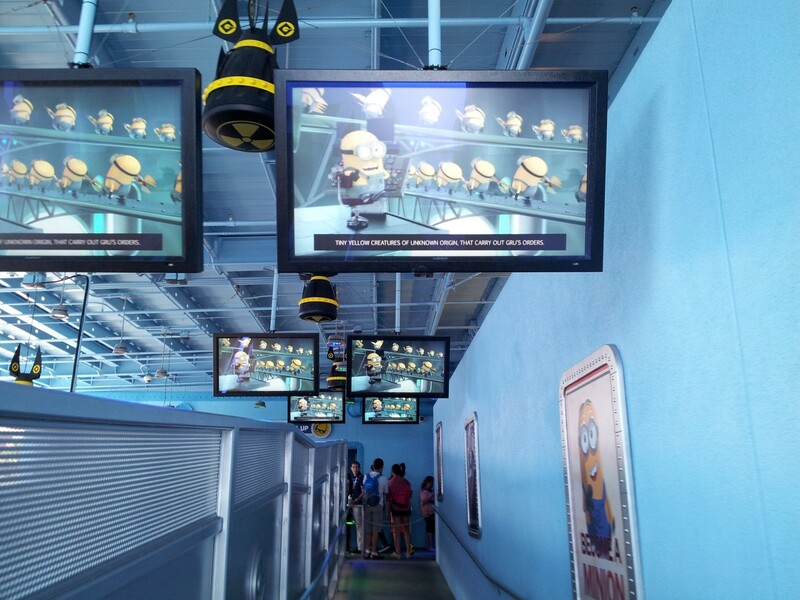 The lines for Minion Mayhem are likely to get long, but the waits are totally worth it. 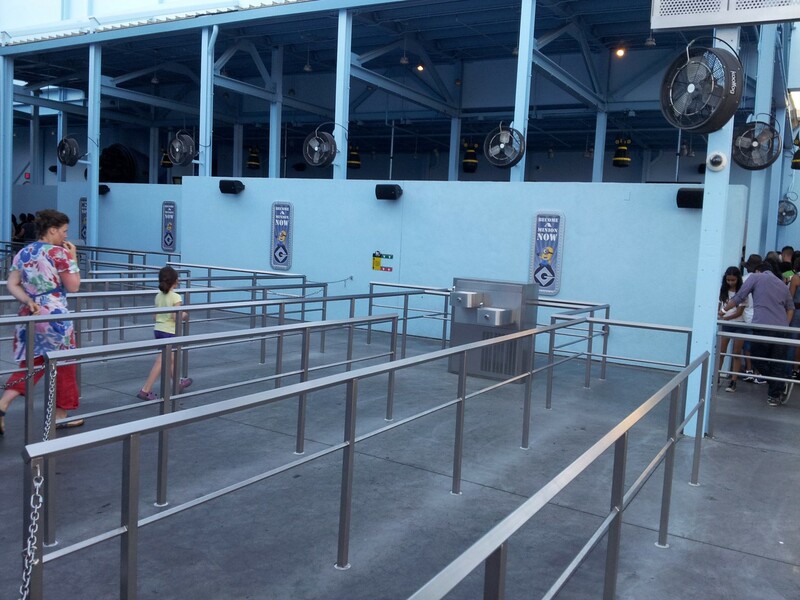 The line moves at an incredible pace, and due to the double theater, guests will find themselves walking through the many switchbacks rather than standing still. We were required to wait through all covered switchbacks, and the wait-time was indicated to be 55 minutes. But, due to the quick boarding we got through the line in a mere 30 minutes. 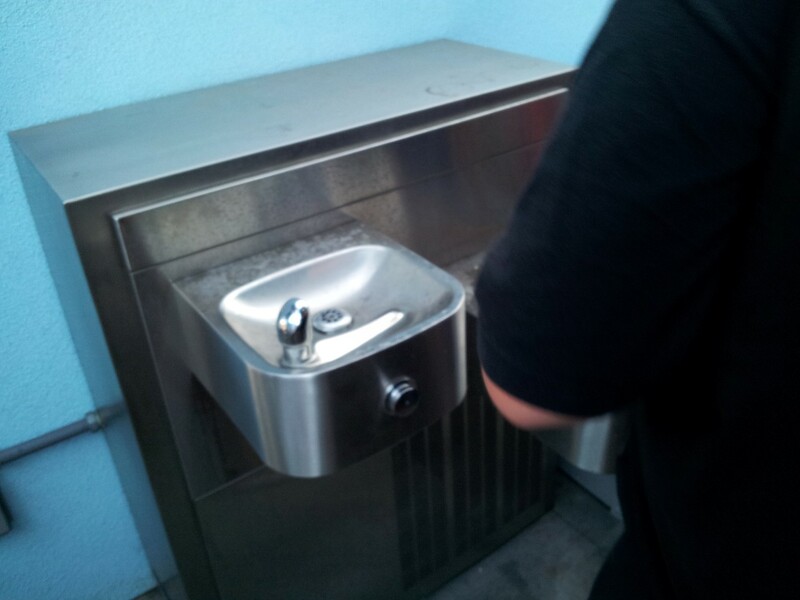 Also, there are plenty of drinking fountains throughout the line. 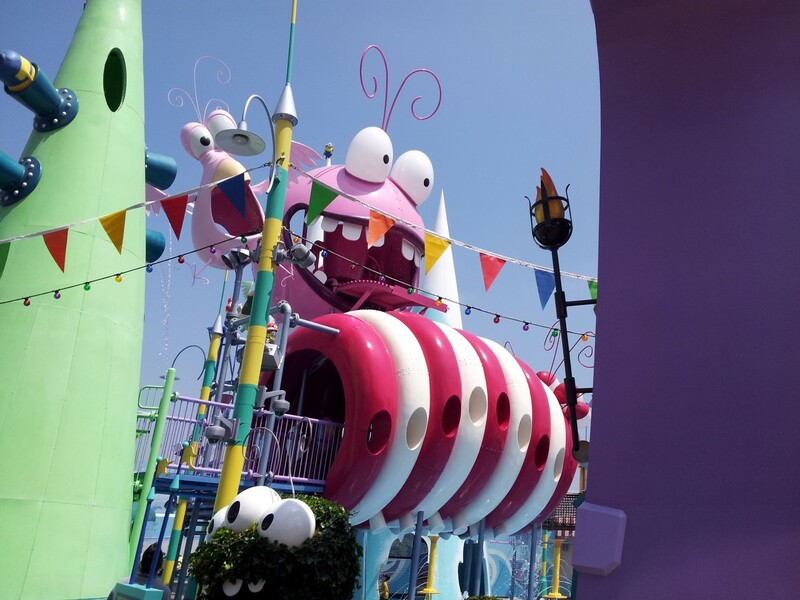 Overall, the new Minion Mayhem is a great ride experience, and we advise everyone that visits Universal Studios Hollywood to check it out during their next visit! 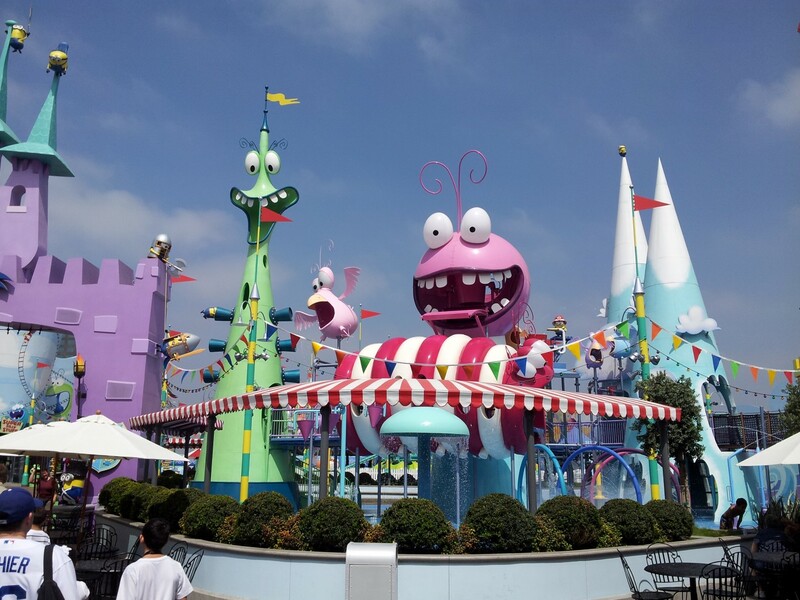 Stay tuned for our Super Silly Fun Land article, reviewing the other side of this brand new area and ride! 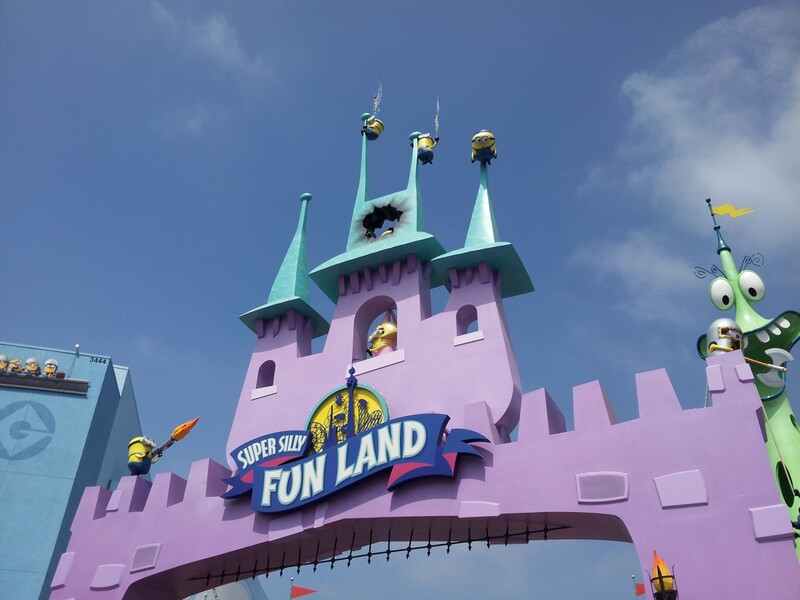 Next to the awesome new Despicable Me: Minion Mayhem ride, the movie famous Super Silly Fun Land can be found! 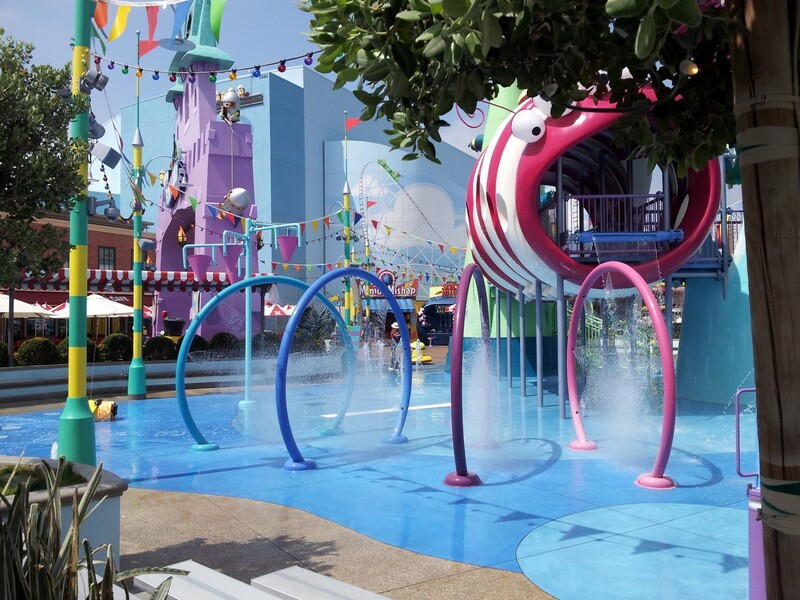 In Super Silly Fun Land, all riders that just exited the Minion Mayhem ride will walk into the new area, which includes a ride similar to Dumbo at Disney, a water playing area, Gru’s Cafe, and several stores and games. 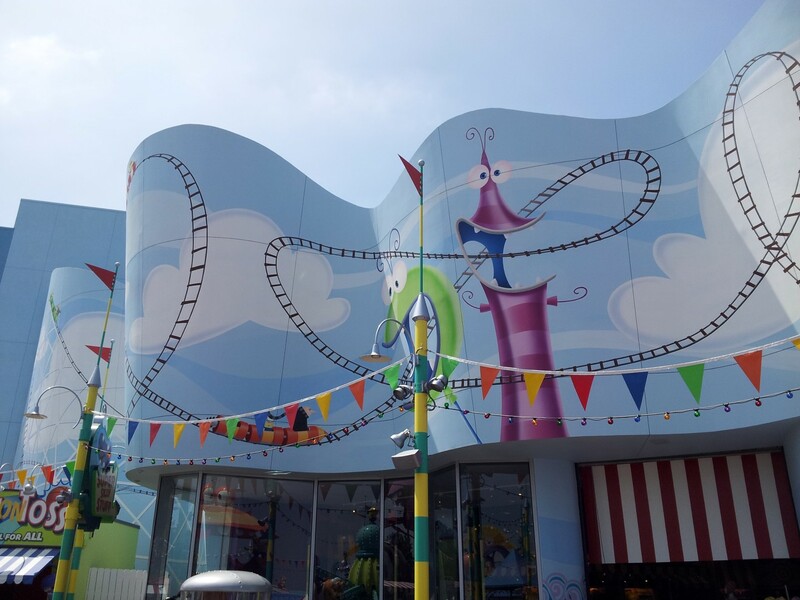 The Silly Swirly ride is located in the back of the area, but is actually a really nice small ride. 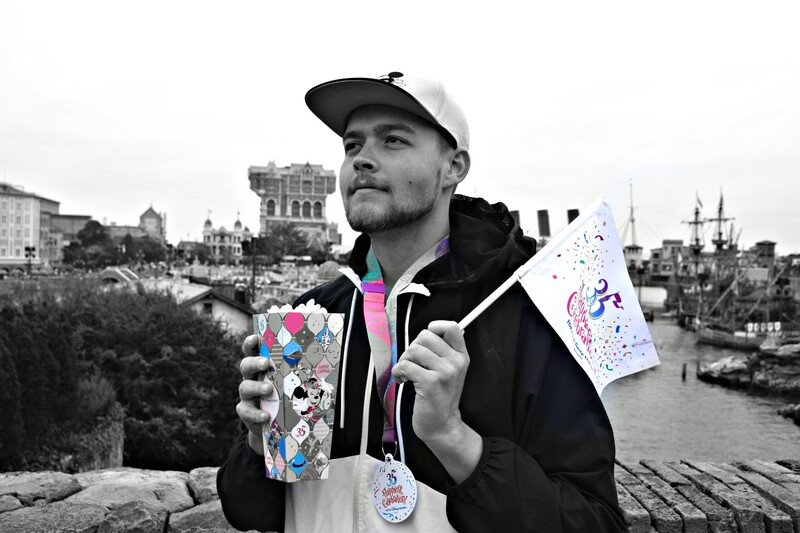 It’s themed particularly well, and is fun for the whole family! 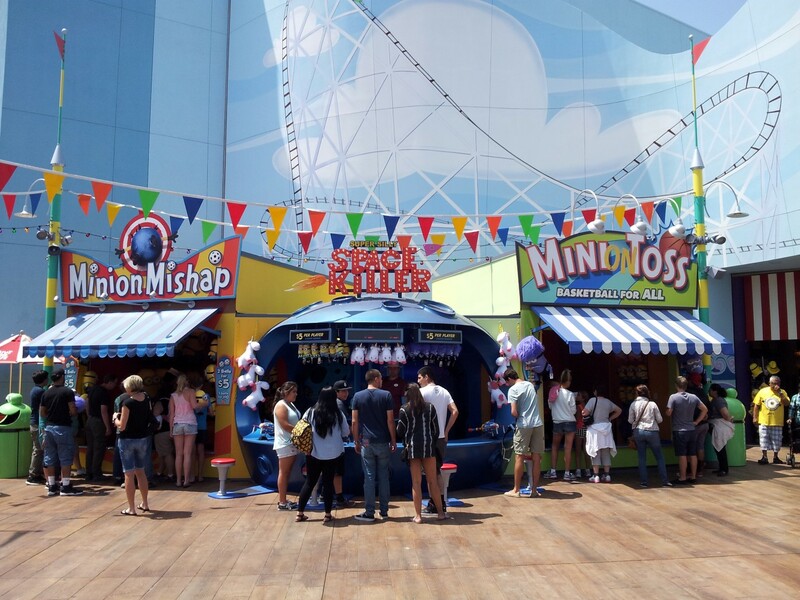 And now a quick Springfield picture report, Springfield that will include many new stores and restaurants next season now has added some stands and games to its themed area. Let’s see what kinds of improvements have been made sofar! 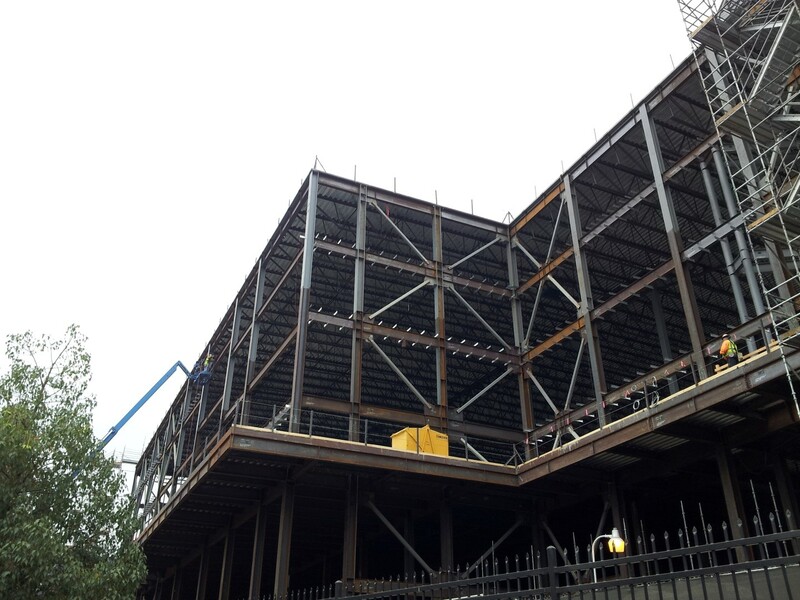 (for the Springfield/WWoHP Construction update, click here). 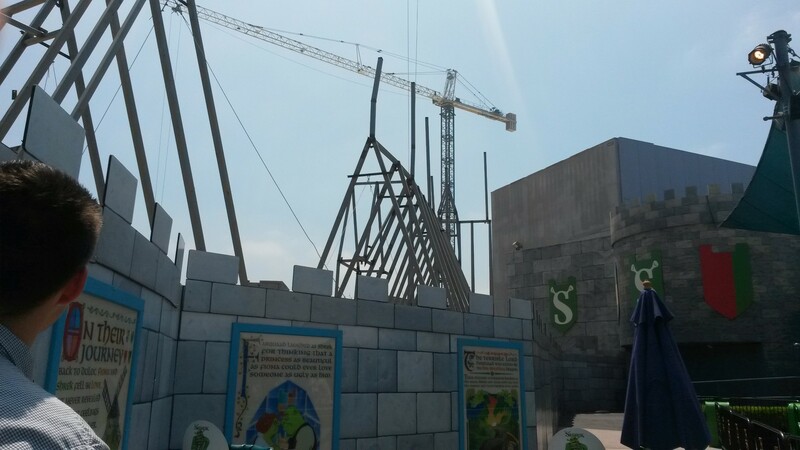 Wizarding World of Harry Potter is coming to Universal Studios Hollywood as many of you know, and the Wizarding construction, together with the Springfield construction is going vertical! 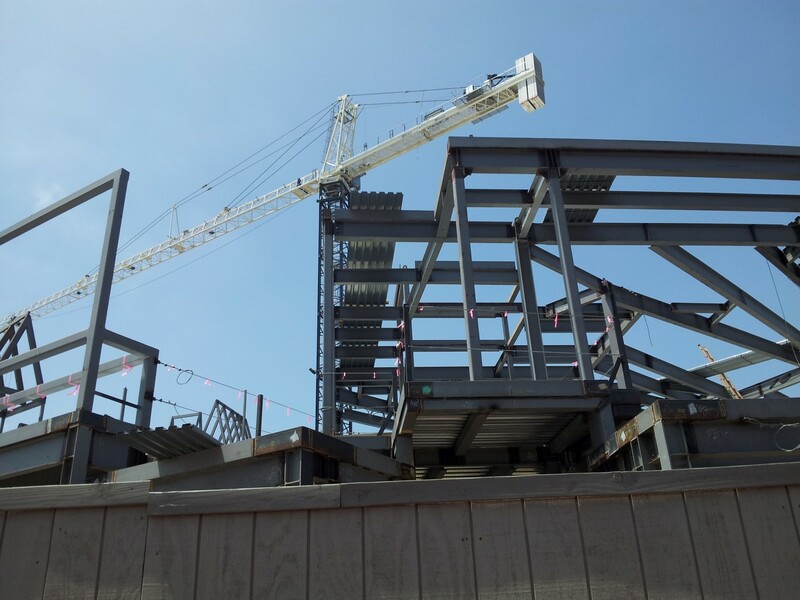 See all the construction pics we collected here, after a quick bit of WWoHP and Springfield info; Inspired by the magical world created by J.K. Rowling and brought to life in the Warner Bros. films, “The Wizarding World of Harry Potter” at Universal Studios Hollywood will be a fully immersive land designed for the entire family that brings the Harry Potter fiction and films to life with impeccable detail and authenticity. Similar to the dynamic Universal Orlando Resort themed land that opened in 2010, the Hollywood experience will be faithful to the visual landscape of the fiction and films, including Hogwarts castle that will serve as the iconic focal point of the impressively themed environment. “The Wizarding World of Harry Potter” is a collaboration between J.K. Rowling, Warner Bros. Entertainment and Universal Parks and Resorts. 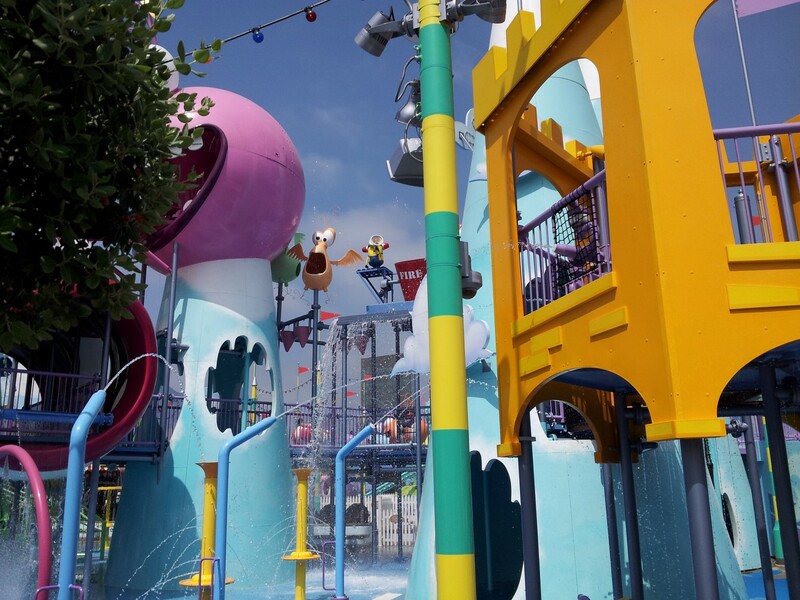 Springfield (2015); The former layout of the park will become unrecognizable when “Springfield” hometown of America’s favorite family, The Simpsons, breathes new life to the sprawling and vibrant space surrounding “The Simpsons Ride.” “Springfield” will capture the spirit of the town and engage visitors and fans of the show in the intensely absorbing and colorful world made famous throughout the series’ 25 seasons. 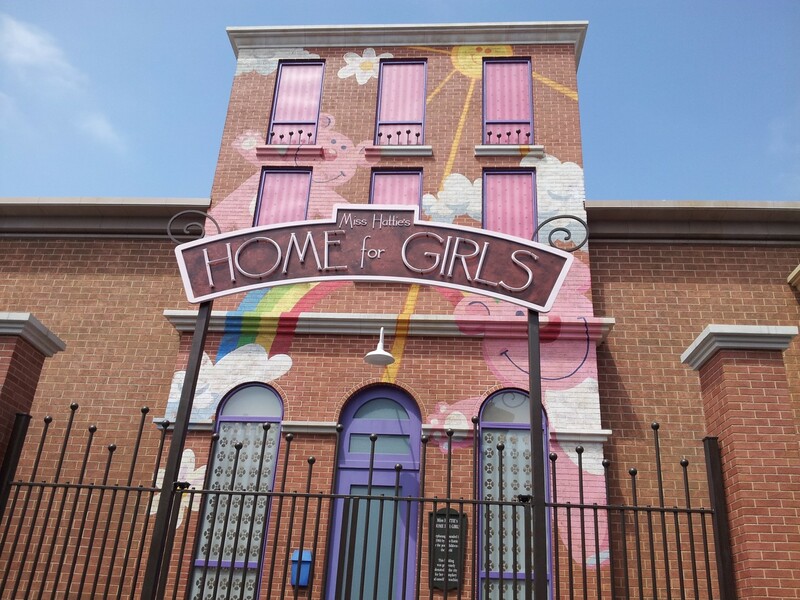 “Springfield” is being designed to make guests feel as if they are being propelled through their television sets into the accurately depicted city, complete with signature eateries from Krusty Burger to Luigi’s Pizza and Phineas Q. Butterfat’s 5600 Flavors Ice Cream Parlor to iconic watering holes like Moe’s Tavern and Duff’s Brewery. More current Springfield improvements will be published with our Super Silly Fun Land post soon! – The entire set has been repainted, looking sharp! – New microphones were added, allowing some characters to use the microphones and speak live to the audience. Also, some lyrics have been changed throughout the show, definitely beneficial to the show. – Due to the microphones, and new costumes, and perhaps due to new guidelines, there is a more interactive pre-show. – Less time is spent on the ‘eye’ scene, where a smoker pokes the Deacon’s fake eye. – Several characters were replaced by others. – Another fall is put in, towards the beginning of the show, when the Deacon enters. 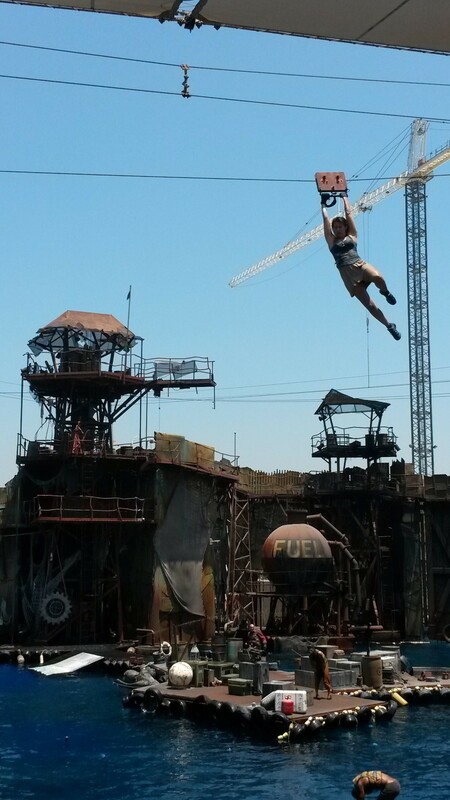 – The fight between Helen and a smoker on the tower no longer results in a jump into the nets over the audience. Bu, another fight between a smoker an Helen is put in the show, before Mariner can save Helen. 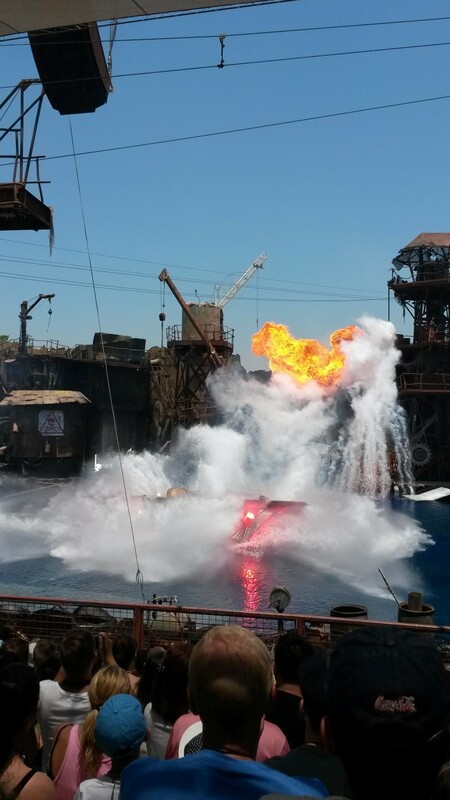 – The sea-plane is not shot by the Deacon earlier during the show, but the Mariner is fighting with the Deacon at the end of the show, and accidentally shoots at the seaplane, causing it to crash later in the show’s sequence. Instead of the sea-plane being hit earlier, the Deacon now accidentally hits one of his own men, that falls off the main tower with the Mariner. 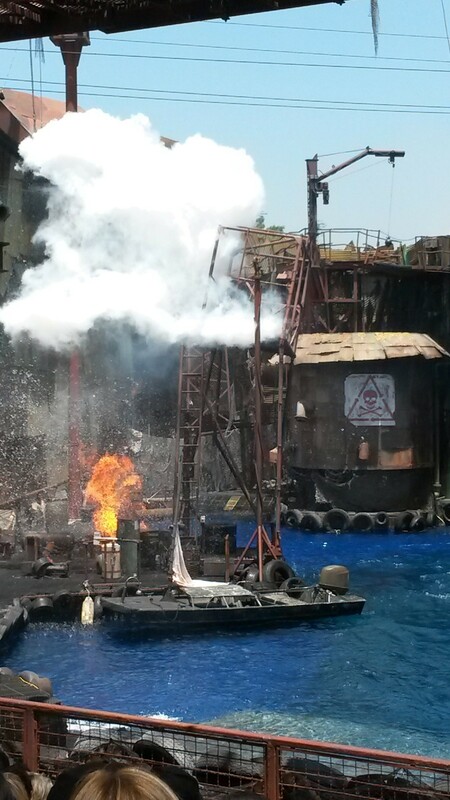 – Pyrotechnic effects have been redone by Action Horizons, more fire, more fire, more fire! YAY! 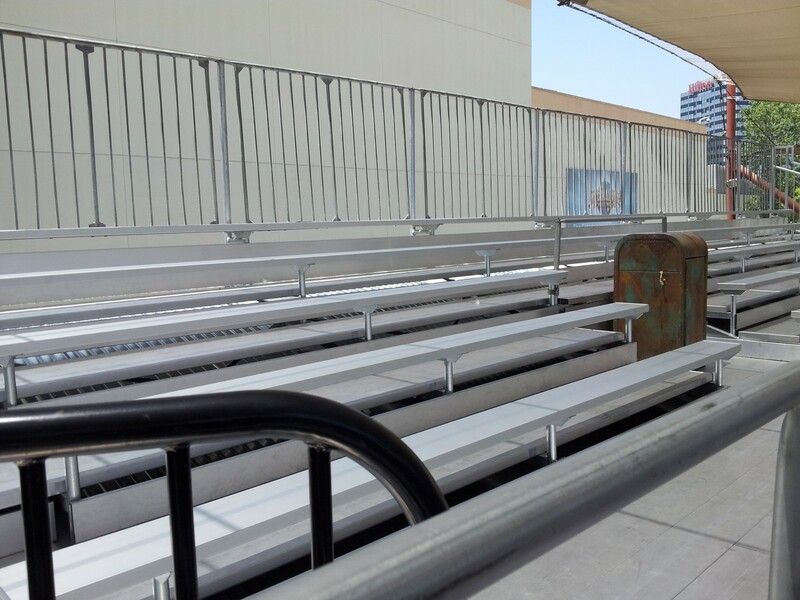 – In addition to it all, to boost the capacity of WaterWorld, the park is currently adding several additional rows of bleachers in the arena! 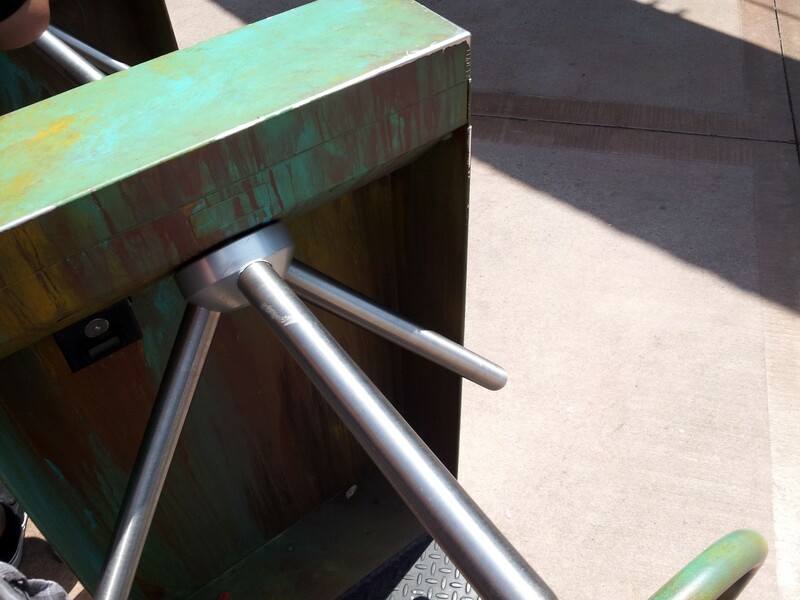 – New turnstiles have been added at the entrance. And here’s us, the California Coaster Kings Crew! First pic; Sean (right) and Ryan (left), and James took the picture. (Look at the seaplane being put back in position after the show! Awesome post-show presentation). The dynamic hydraulic motion-based ride will tell an original Fast & Furious story that fuses sophisticated hyper-realistic special effects with a state-of-the-art 3D audio system and 3D-HD imagery, projected onto the world’s longest and most expansive 360-degree screen. Spanning nearly 400 feet in length to encircle Studio Tour guests within a newly constructed 50,000-square-foot structure on the legendary backlot, the sprawling custom-built screen will employ 18, 4K projectors and a never-before-used front-projection system to fully envelope guests in unprecedented realism. Coupled with an intense blend of thrilling visceral effects, “Fast & Furious—Supercharged” will take guests on a wild ride that begins the moment they board the Studio Tour. 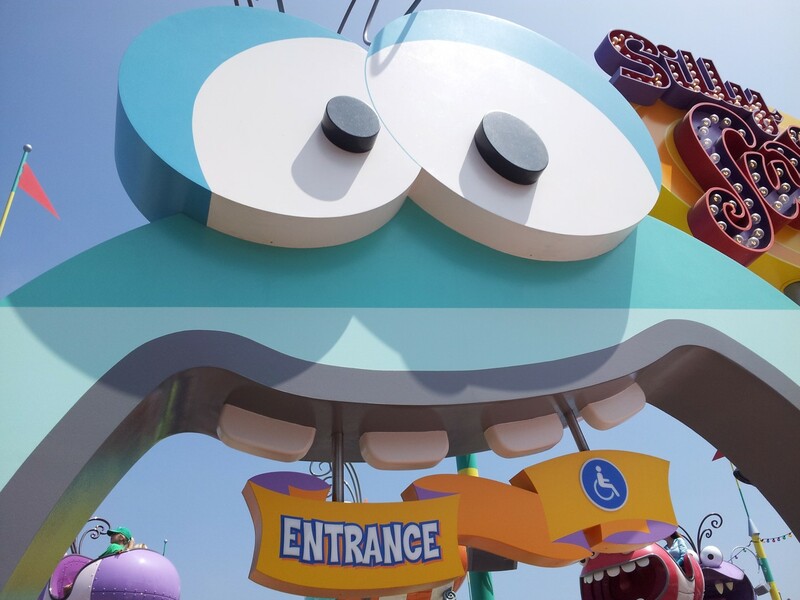 Exclusive interstitial content, filmed with the cast members, will be featured on the tram monitors highlighting interactions with their interactions as they engage guests en route to the ride’s climatic scenes. Along the tram route, sightings of numerous prop cars from the Fast & Furious series, including Dom’s iconic Dodge Charger, will enhance the story. The adventure will culminate with spectacular action sequences that send guests spiraling through the streets of Los Angeles—at perceived speeds in excess of 120 miles per hour—aided by the elite team of unforgettable heroes. 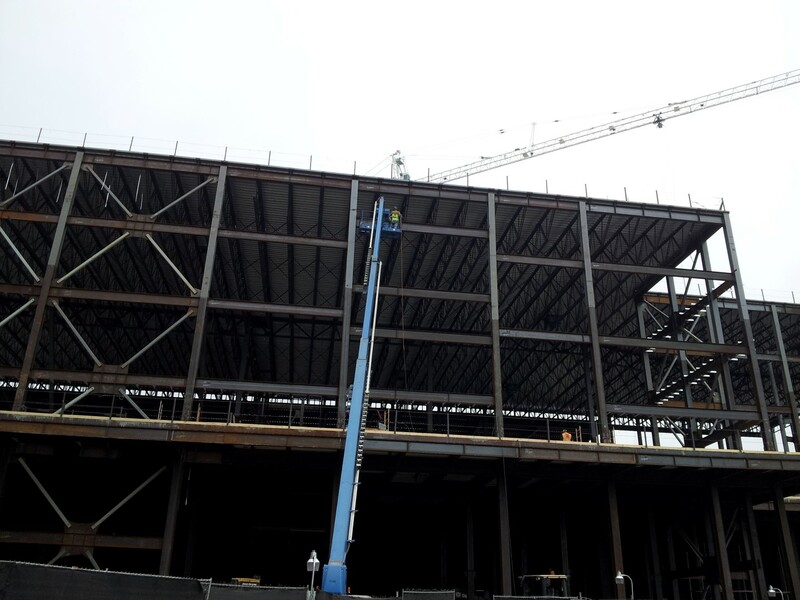 Here are some of the construction pictures we were able to take from the Studio Tour! 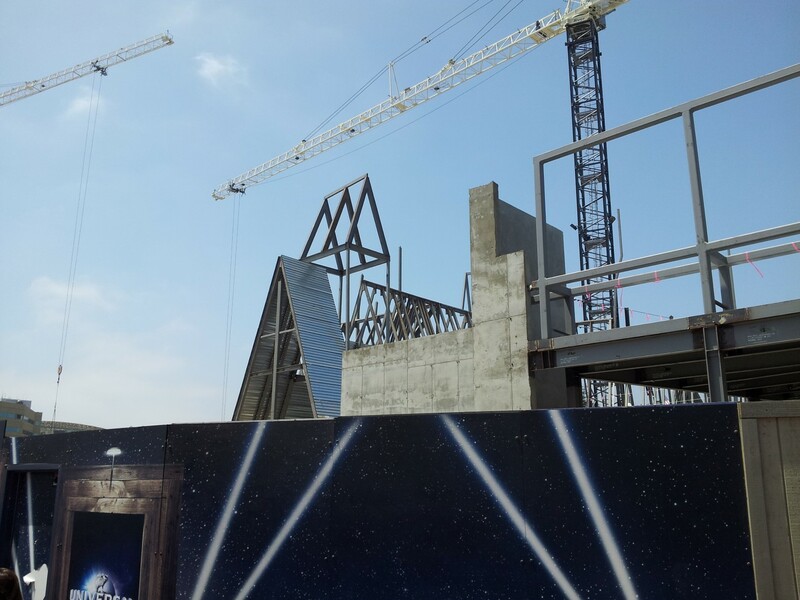 For more info on the all new fast and Furious Supercharged (2015), Night time Studio Tours (2015), and the Wizarding World of Harry Potter (2016) Click here. 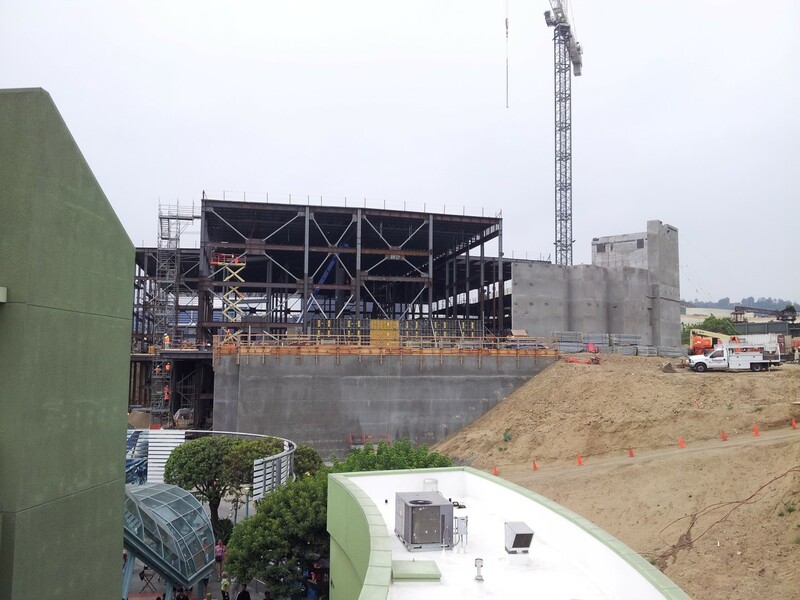 Universal Studios Hollywood Major Expansions 2014-16! 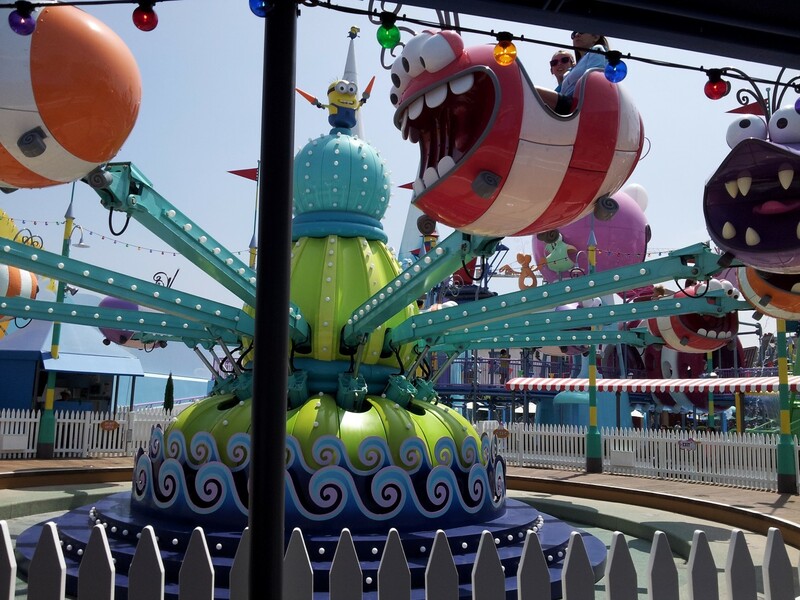 On April 12, 2014, “Despicable Me Minion Mayhem” and “Super Silly Fun Land” will open at Universal Studios Hollywood. 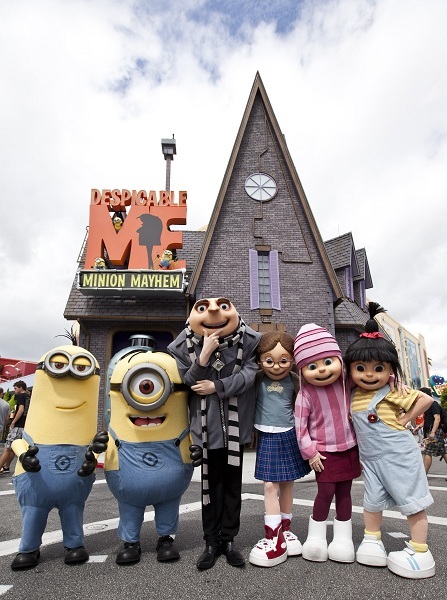 Based on Universal Pictures and Illumination Entertainment’s Academy Award(r) and Golden Globe Award-nominated film franchise, and created in collaboration with Chris Meledandri, founder and CEO of Illumination Entertainment, “Despicable Me Minion Mayhem” will resonate with the same endearing qualities and characters that catapulted the franchise to international blockbuster fame. 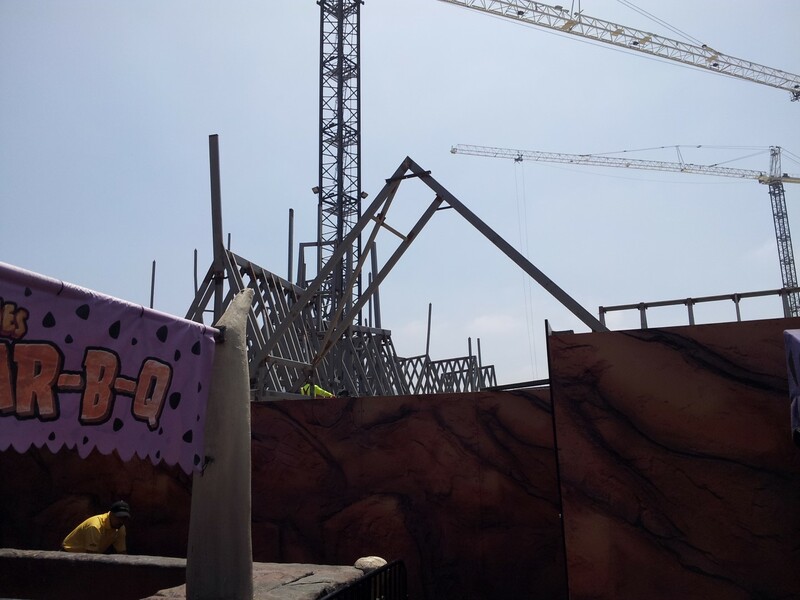 The footprint for “Despicable Me Minion Mayhem” and “Super Silly Fun Land,” however, will serve as a crucial turning point for the theme park, as the adventure represents its first foray into fully expansive themed environments aimed at immersing visitors from the moment they enter the space. From experiencing Gru’s neighborhood to Miss Hattie’s Home for Girls and the imaginative seaside carnival, this all-encompassing approach is a decisive departure from the park’s more commonly used vignette ride exteriors to create holistic experiences and transport guests to that imaginary place. 2015 will be a momentous year for the theme park with two spectacular attractions debuting as part of the 50th anniversary. 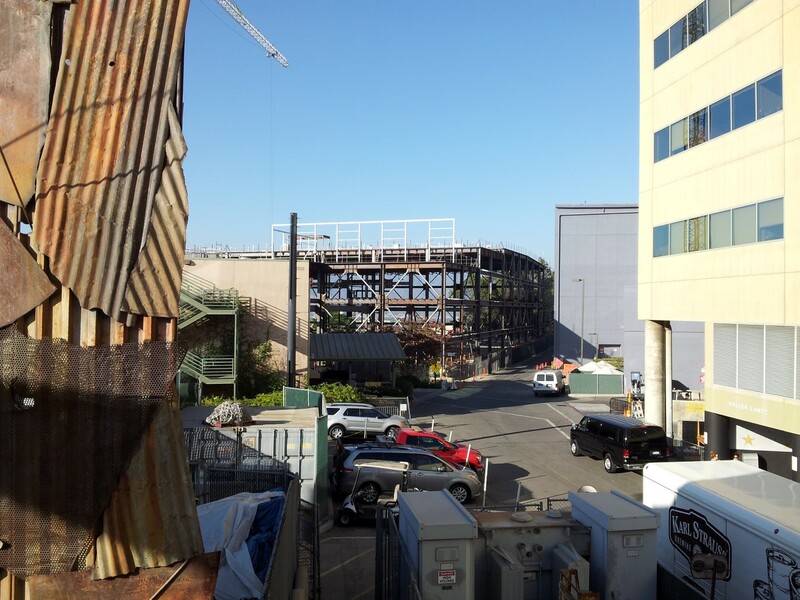 “Springfield” an immersive land surrounding “The Simpsons Ride” will open in Spring 2015 and in Summer 2015, “Fast & Furious-Supercharged,” based on the blockbuster film series, will be introduced as the grand finale to the celebrated Studio Tour. The former layout of the park will become unrecognizable when “Springfield” hometown of America’s favorite family, The Simpsons, breathes new life to the sprawling and vibrant space surrounding “The Simpsons Ride.” “Springfield” will capture the spirit of the town and engage visitors and fans of the show in the intensely absorbing and colorful world made famous throughout the series’ 25 seasons. 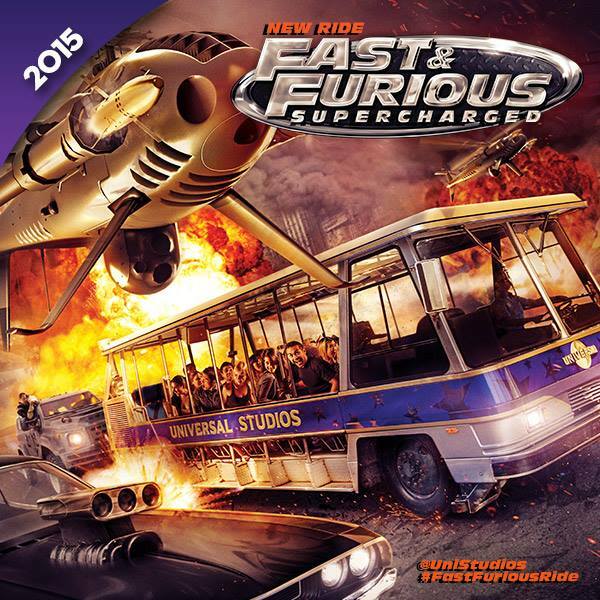 “Fast & Furious-Supercharged” will be a pulse-pounding, adrenaline-fueled finale to the world-famous Studio Tour. This technologically advanced thrill ride, will catapult guests into the high-stakes underground world of fast cars where they’ll join the cast in a harrowing escapade. 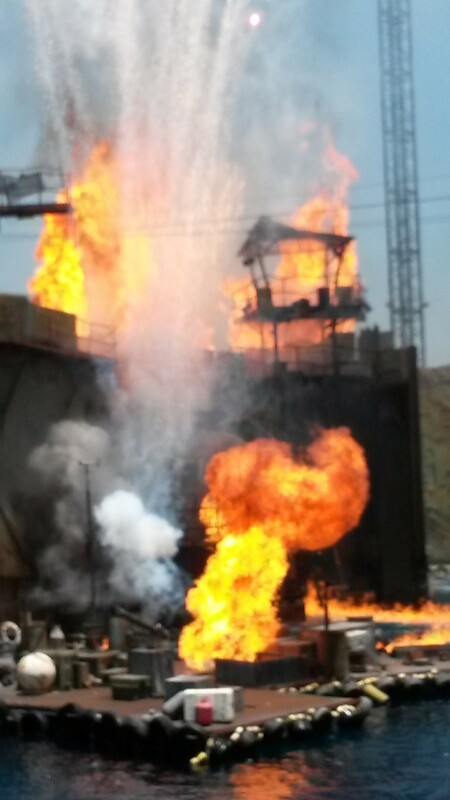 The ride will be situated within a newly constructed 50,000 square foot building on the legendary backlot and will reunite stars from the Fast & Furious series in a groundbreaking mega-attraction, conceived as a new installment to the dynamic film series that can only be experienced at The Entertainment Capital of L.A. 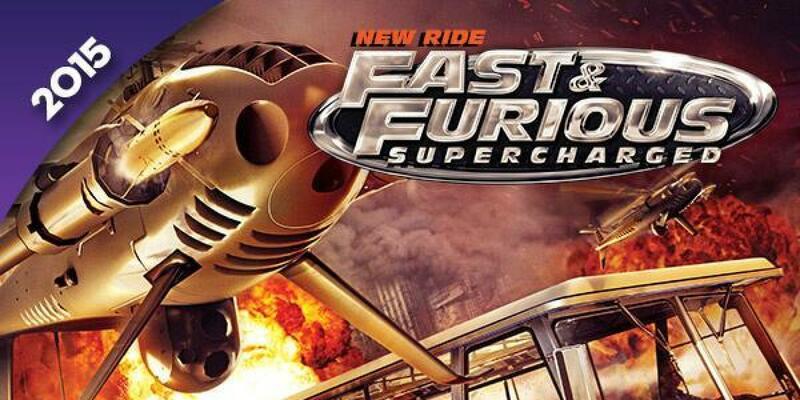 The dynamic hydraulic-motion based ride will tell an original Fast & Furious story, incorporating hyper-realistic special effects and state-of-the-art 3D-HD imagery projected onto the world’s longest and most expansive 360-degree screen spanning nearly 400 feet in length to encircle Studio Tour guests in the Fast & Furious universe. 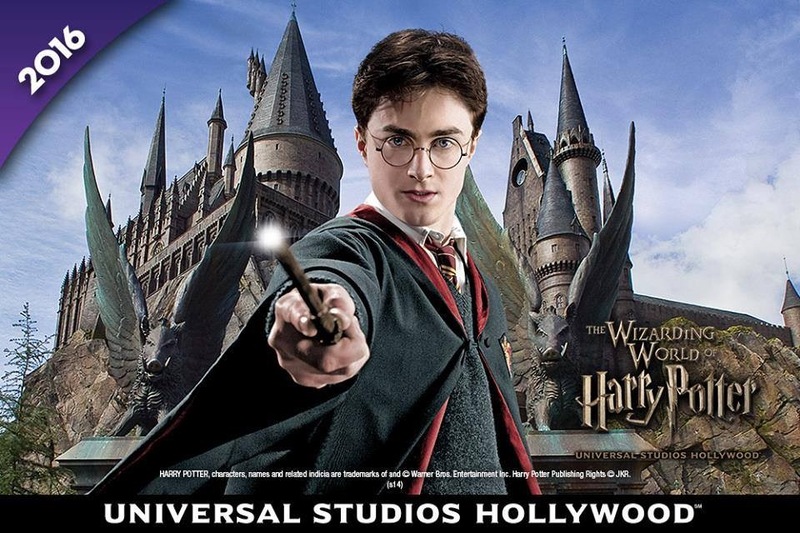 2016 will be a magical year for Universal Studios Hollywood as the theme park’s epic transformation becomes fully realized with the highly-anticipated arrival of “The Wizarding World of Harry Potter”. Inspired by the magical world created by J.K. Rowling and brought to life in the Warner Bros. films, “The Wizarding World of Harry Potter” at Universal Studios Hollywood will be a fully immersive land designed for the entire family that brings the Harry Potter fiction and films to life with impeccable detail and authenticity. 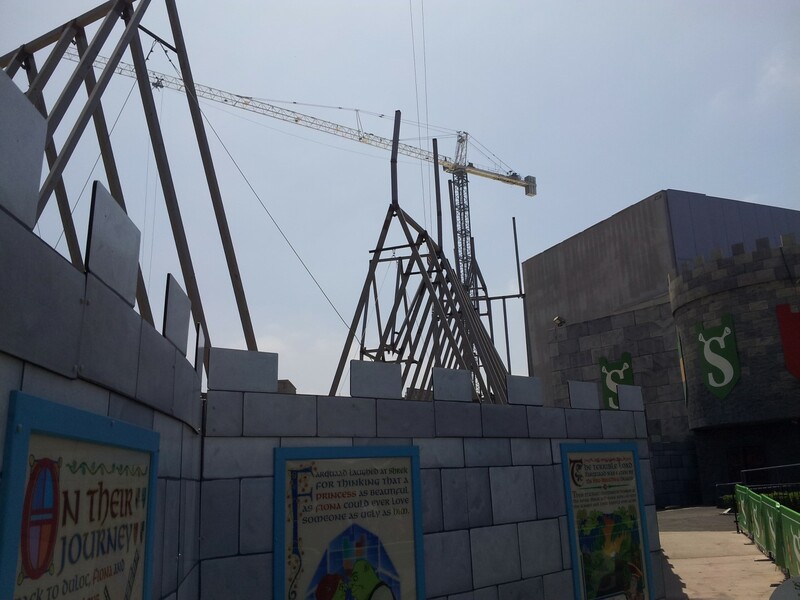 Similar to the dynamic Universal Orlando Resort themed land that opened in 2010, the Hollywood experience will be faithful to the visual landscape of the fiction and films, including Hogwarts castle that will serve as the iconic focal point of the impressively themed environment. “The Wizarding World of Harry Potter” is a collaboration between J.K. Rowling, Warner Bros. Entertainment and Universal Parks and Resorts. 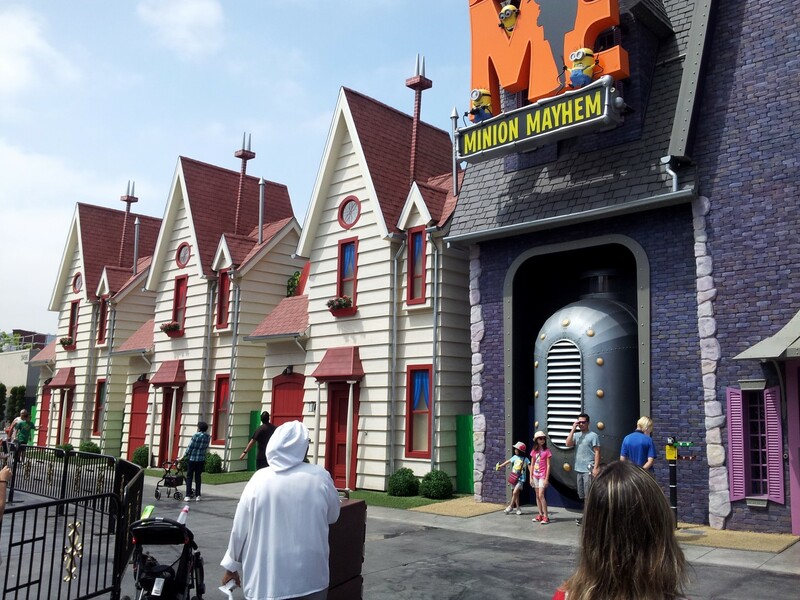 Despicable Me: Minion Mayhem sounds like it will be CA’s best new simulator-ride, and perhaps the most interesting family ride! 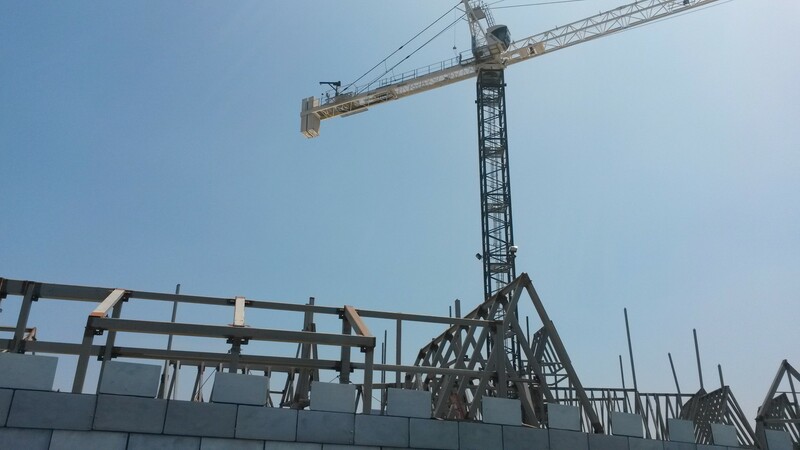 Our partners at USHFans have made a more recent visit, thus the photo credits go to them. 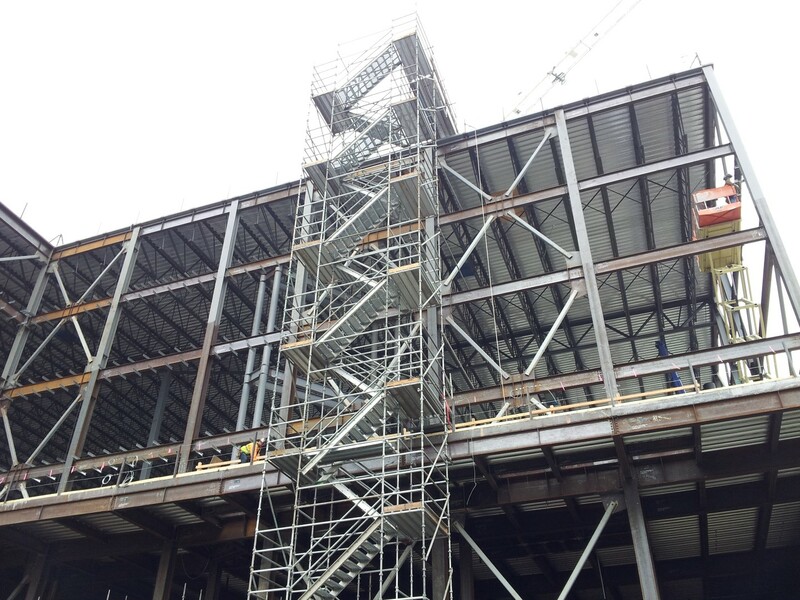 The brand new ride is to open in April, and as we look at it right now, they seem to be well on their way. 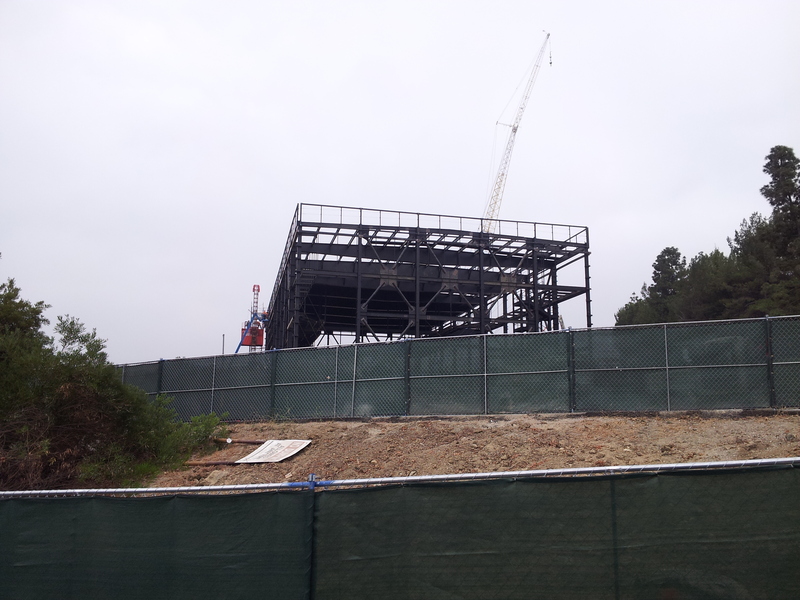 The following will likely be a part of the waiting line, it looks very similar to the line at Universal Studios Orlando. The detail of this project is amazing, look at the houses below, and how the cut-out 2D trees look with the blue background that’s actually a building. Very impressive. 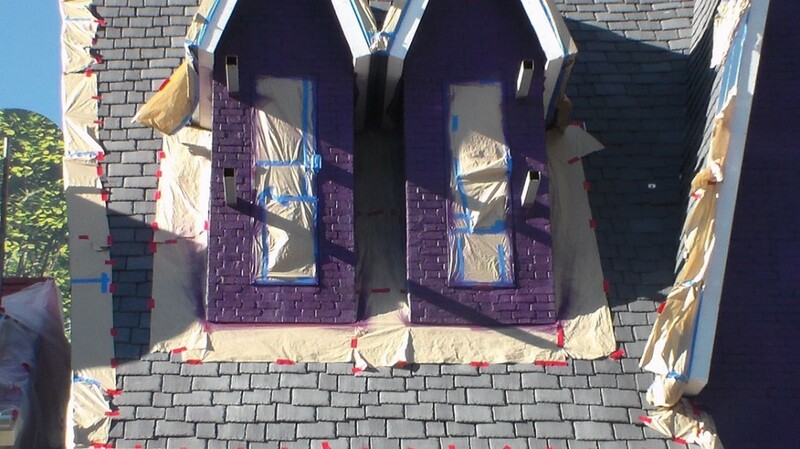 Another picture showing the great details that will go into the ride’s look! 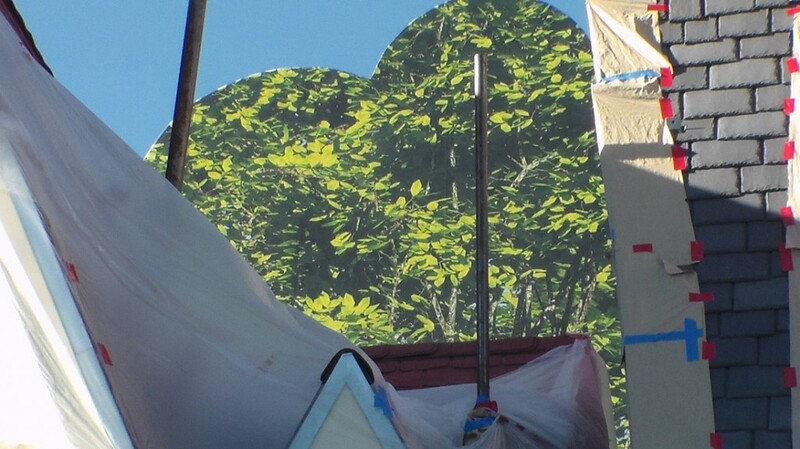 Take a closer look at the 2D cut-out of the tree! We, will keep you posted on the progress Minion Mayhem makes! So check in with us regularly! 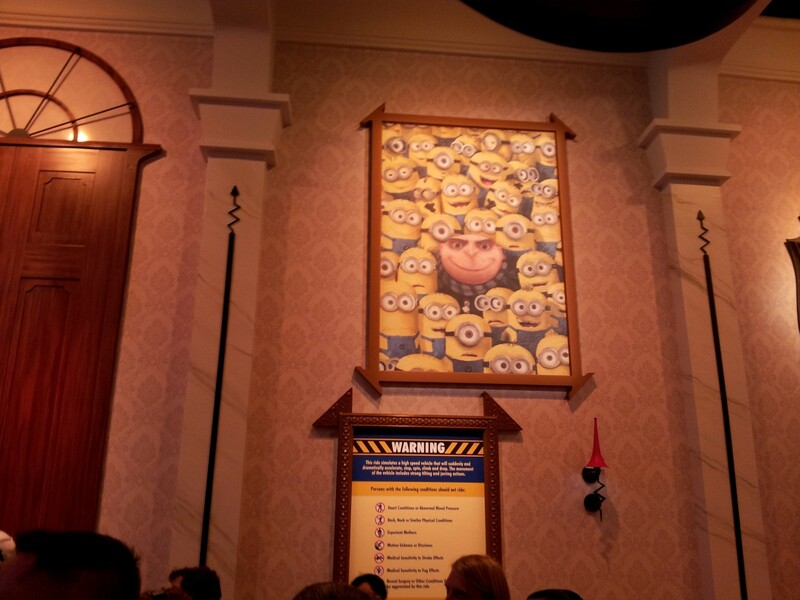 Also, check out our Minion Mayhem post giving more details of the ride itself here. One of the bonuses of coming to Universal Studios Hollywood, is being on an actual, full operating film studio. 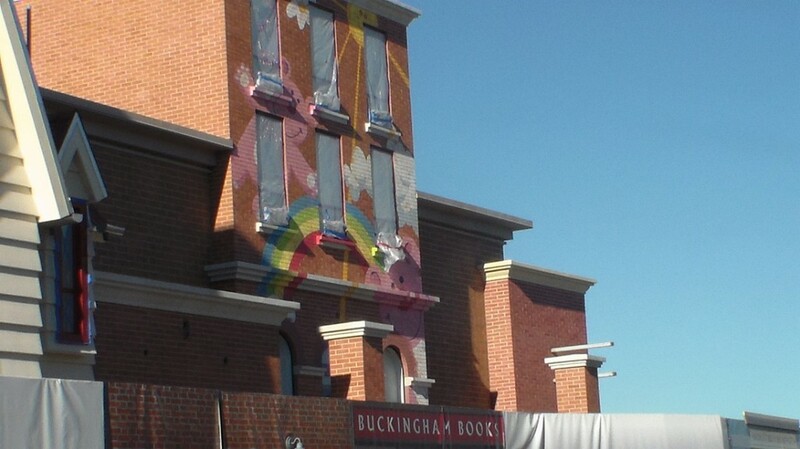 You can fully experience this theme park’s uniqueness on its attraction known as the studio tour. 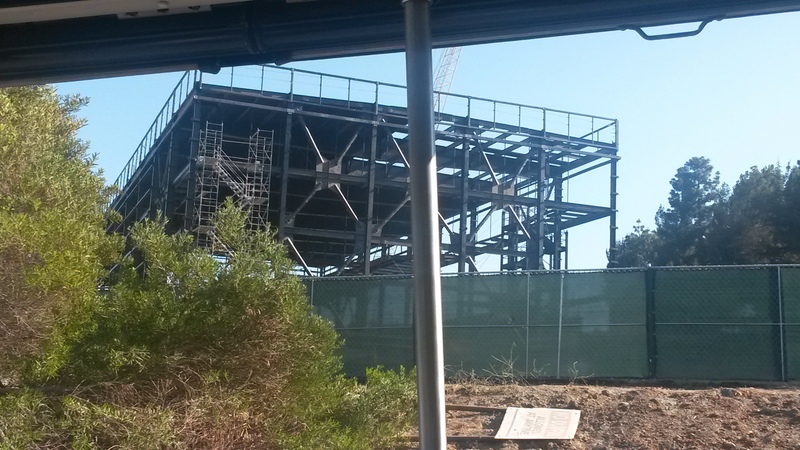 This is a tram ride through the sets and sound stages of Universal. Riders board a tram and are introduced to there guide and driver, as well as a video host, Jimmy Fallon. The tram departs downhill passing a timeline of movie posters, featuring Gone with the Wind, Woody Woodpecker, Jurassic Park, and other great Universal films. 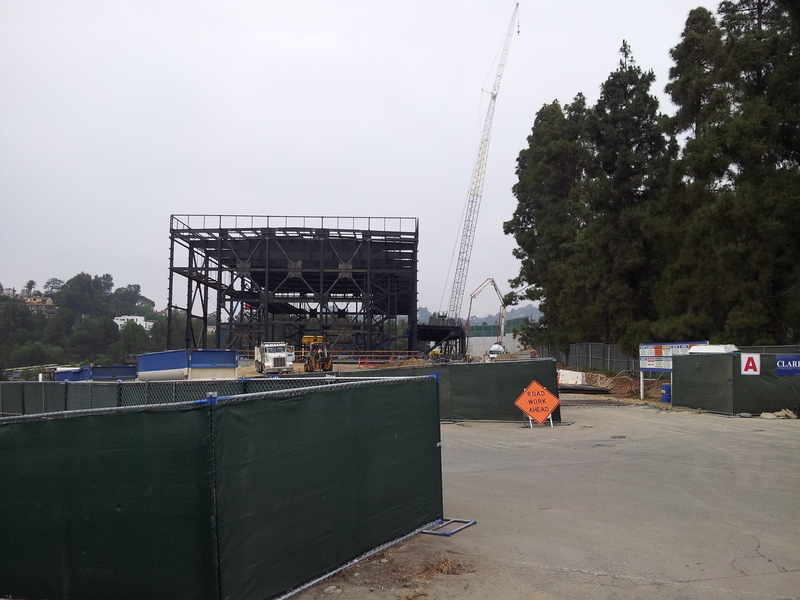 It reaches to bottom of the hill and passes by the first, and newest of its sound stages, which currently houses the television singing competition show, The Voice. You then pass 2 more sound stages, one being the oldest, which held the Paris Opera House in the original film rendition of Phantom of the Opera, and the other being one of the largest, which holds sets from the CSI television series. Riders will then enter the Metropolitan Sets (Boston, NYC, etc). Rounding the corner, riders, see the famous Clock Tower Square is, where the famous time travel scene in the end of Back to the Future was shot. Then, after passing through little New York, riders go up another hill, to experience, the newest addition to the attraction, King Kong 360 3D. In this experience, riders enter Skull Island though a tunnel and are asked to put on a pair of 3D glasses. They are then, through the magic of 3D technology, are transferred to a forest complete with a battle between King Kong and a group of T Rexes, that gets so wild that a back car is pulled onto the screen and down into a gorge. After finishing this thrilling experience, riders head up a hill passing the famous cars of Universal, featuring Kit from Knight Rider, among others, before heading into a territory from Jurassic Park in which you are ambushed by some spitting Velocaraptors. Riders then enter little Mexico during a rain festival, in which, not only does it rain, but it poors, causing a flash flood effect. Riders then go through Whoville, where, during Grinchmas, a performance occurs, with singing and dancing Whos, and everyone’s favorite green monster Mr. Grinch. 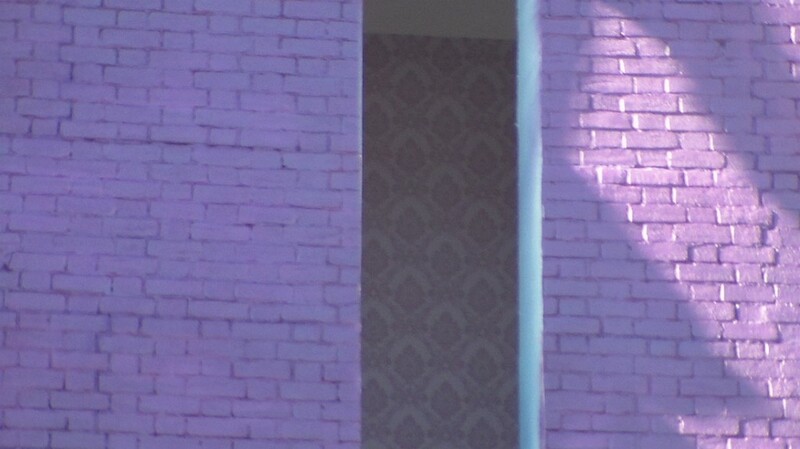 On the back side of Whoville, however, is the not as jolly Bates Motel from Psycho. Some unlucky riders will catch Norman with his mother and will be chased by him, knife in hand. 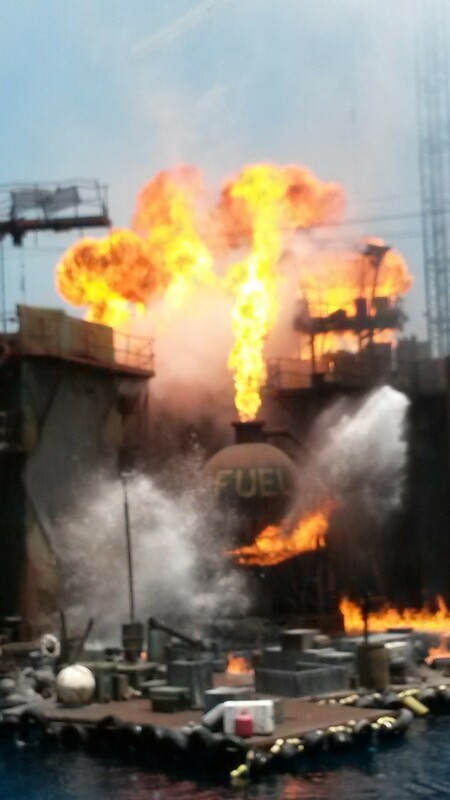 Riders then pull into a sound stage that has been set to look like a subway station and experience and earthquake, featuring a tanker truck falling down on them, a derailed train, and another flash flood. Then riders descend to a small New England town featuring a large shark attack from, you guessed it, Jaws. Riders ride up passed the Bunny Ranch from the Best Little Whore House in Texas. You then part the seas as Charlton Heston once did as Moses in The Ten Commandments. Finally, riders see the grand finally, the plane crash scene from War of the Worlds, which features a real demolished 747 passenger plane. After one last ascent up which allows riders to get a view of the surrounding East San Fernando valley, and a good bye song by Jimmy Fallon, riders exit the tram, hopefully unscathed. California Coaster Kings went to Universal Studios Hollywood on the 20th of December, although we went mainly for Grinchmas, we were there for an entire day, thus we created a little overlook of our day. Ride Reviews and recaps will follow soon. 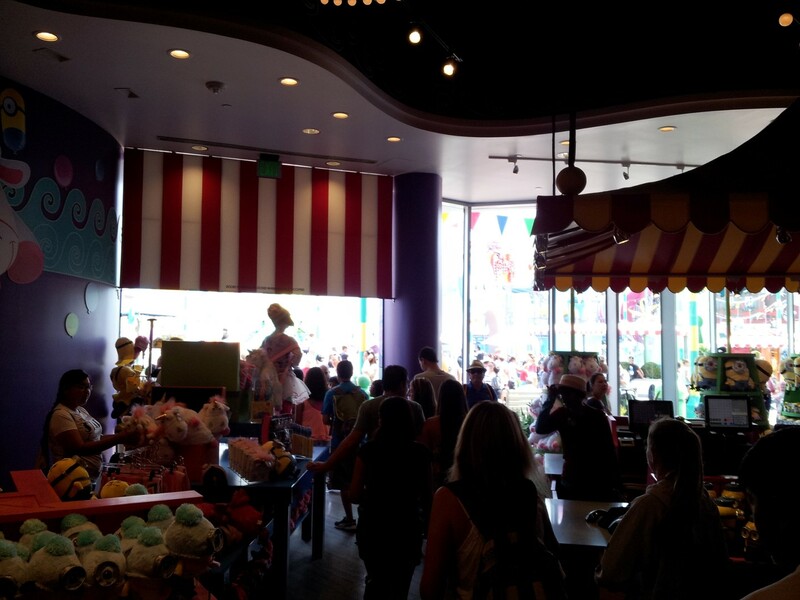 We arrived when the park opened, and the first thing we went on is the popular Studio Tour. Luckily there was no line, and we were on the first tram/bus to leave. A review will follow. 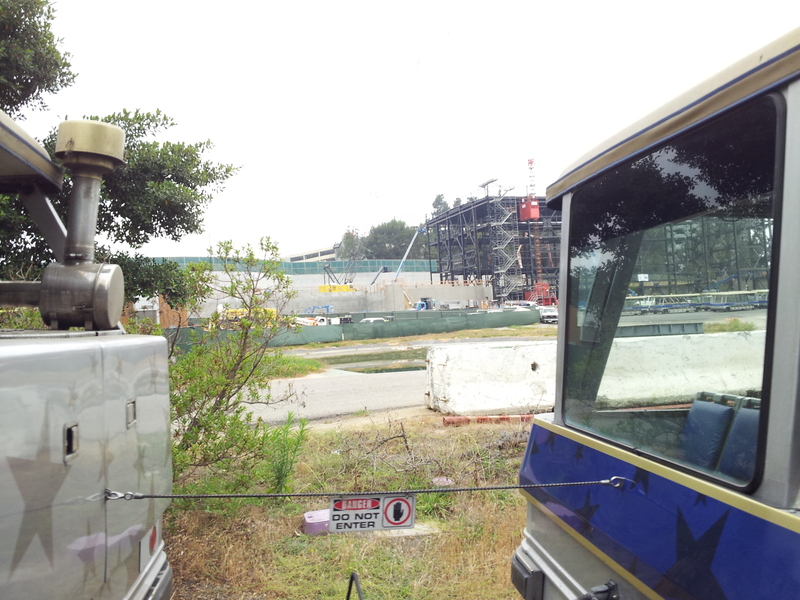 Next up, we decided to visit the lower lot, since it wasn’t crowded yet. We rode ‘Revenge of the Mummy’ first. There were no lines, so that was good. We rode it twice in a row. It’s a fun ride, a little short, but very smooth with a nice launch. It’s definitely a ‘must-do’ when at the park. A review of this ride will follow. Next up, Jurassic Park. Luckily we didn’t get wet on it. The ride has very well been put together, we ended up riding it 3 times. A review of this ride will follow. 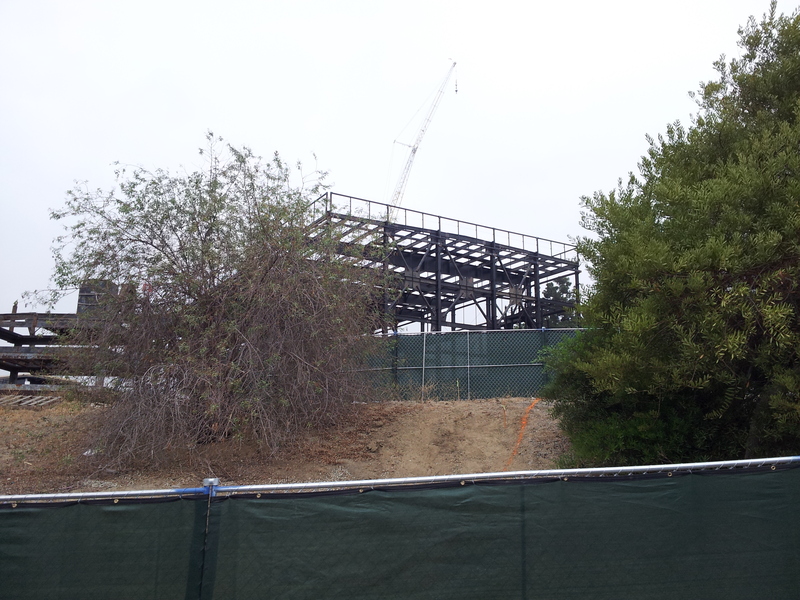 The last ride on the lower lot was the all new Transformers: The Ride 3D. Which was amazing! Definitely one of our favorite rides, good story line and pretty long line. Fast movements make the ride even better. It was interesting to see the interaction between ride-related characters and guests, such as characters from ‘Transformers’ and ‘Revenge of the Mummy’. 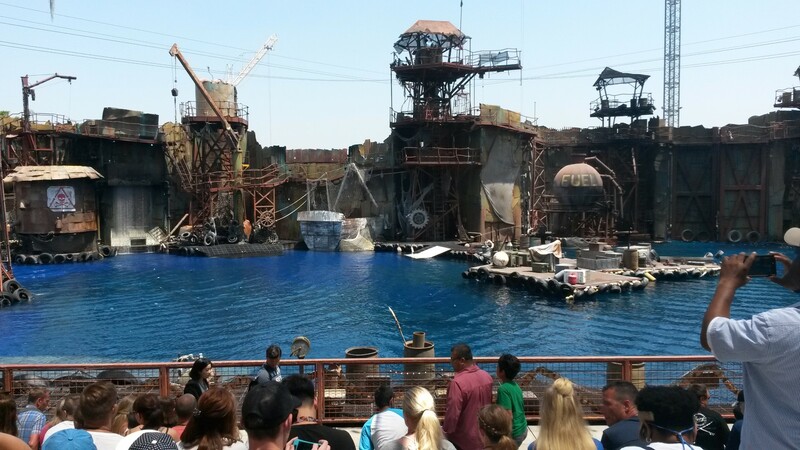 We then returned to the upper lot, where we rode all other rides and went to see Waterworld and the Special Effects Stage. 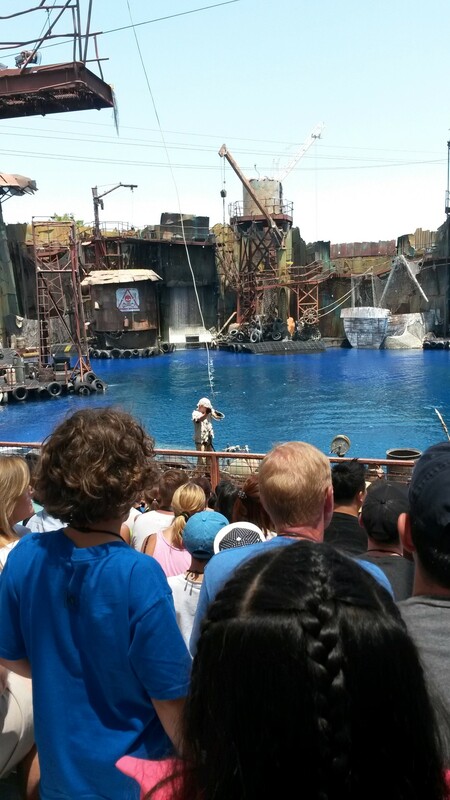 Waterworld was very good. It was interesting to see the show both at night and during the day. Shrek 4D was awesome, and hardly had any lines all day. 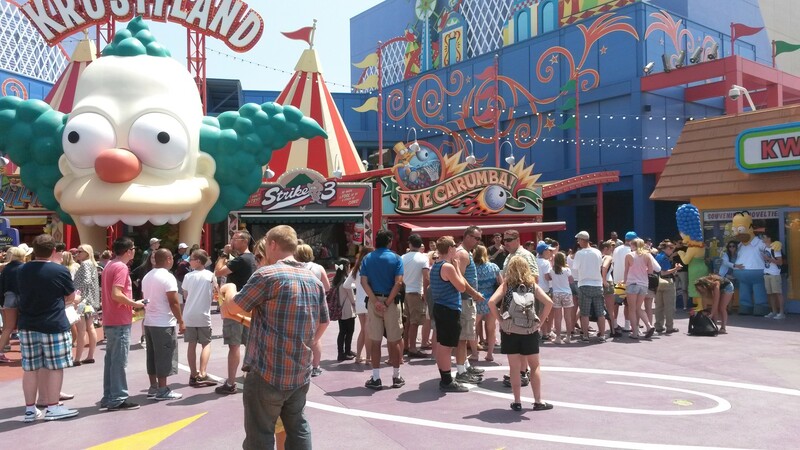 Simpsons on the other hand had about the longest line with Transformers all day, except for the 70 min Studio Tours line. We ended up riding all rides at least twice. The main reason we came to the park was of course Grinchmas, which we totally loved. The park was beautifully decorated, and the tree lighting ceremony was a hit! Click here to read the Grinchmas Report! 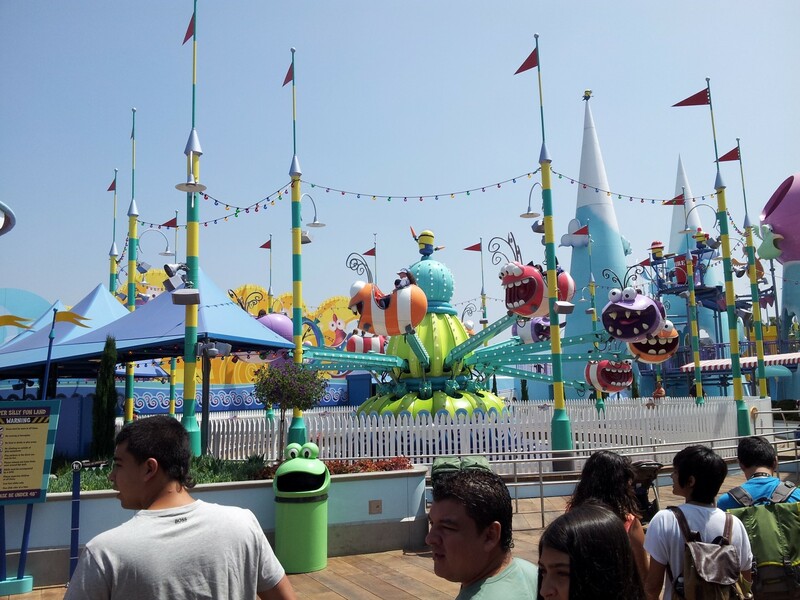 California Coaster Kings went to Universal Studios Hollywood on the 20th of December to cover Grinchmas! Short reports of our trip outside of the Grinhmas event will follow soon, with full coverage of all the rides, some of the shows, and of course Studio Tour! So stay tuned! 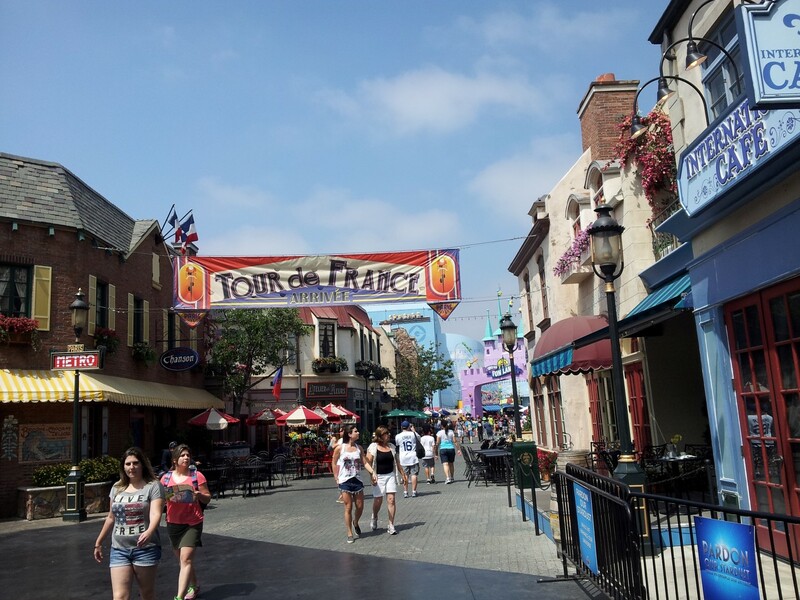 The park’s entrance and streets are wonderfully decorated! Universal Plaza was dedicated to offer everyone a variety of Grinchmas activities. Guests could decorate cookies, design tree ornaments, take pictures with the Grinch and his dog ‘Max’. As well as observe the tree, and all Who-Ville friends! The tree looked wonderful, and from 5-8PM, there was a tree lighting ceremony every 30 minutes, with music, artificial snow and performances of the characters walking around the plaza! There were also several performances around the park at night, related to the holiday season! Watch our video below of the plaza at night, the ceremony, the other live entertainment, and the artificial snow! Combined creating an awesome holiday event for young and old! 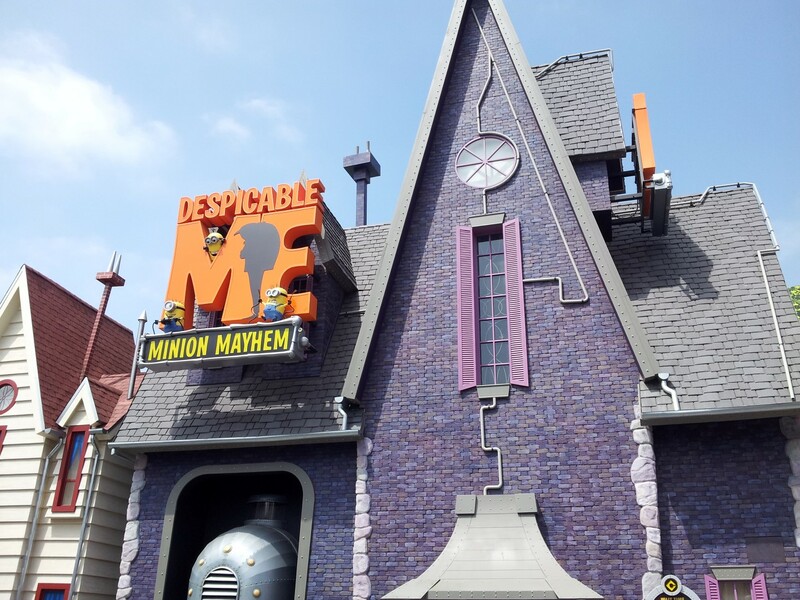 Despicable Me: Minion Mayhem is a motion simulator ride in Universal Orlando, that is planed to be built in the California park in April of 2014. 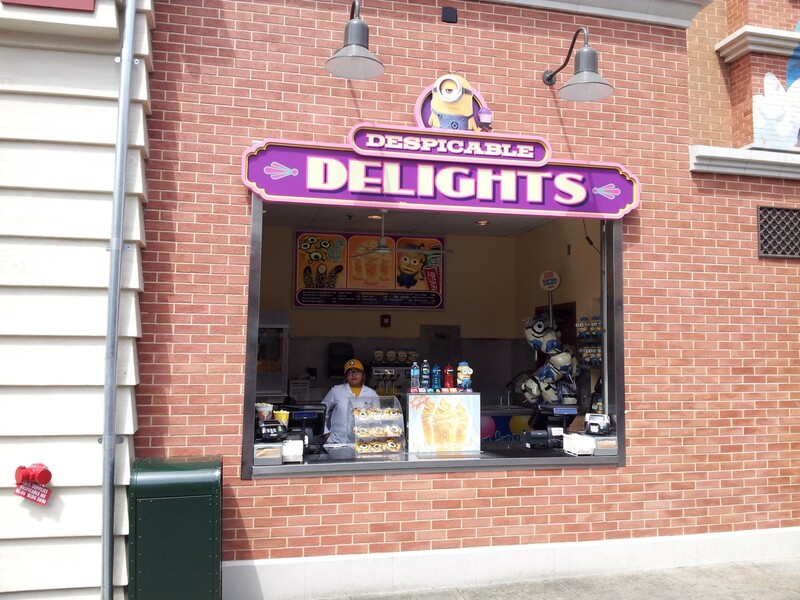 Guests will experience themed queues, preshow videos and comedic dialogue that set up the fundamental plot: Gru schemes to create more mischievous Minions from human recruits. 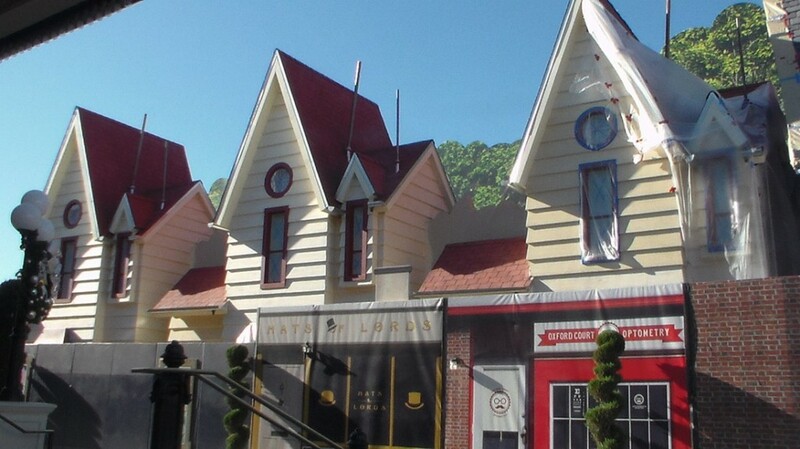 Guests will be transported into Gru’s house as they meander through his living room and encounter visual elements as seen in the film, including the moon-shrinking SR-6 shrink ray and then zig zag into his lab. The exciting journey continues as they swerve, bounce and plunge to get through the frantically humorous Minion training mission while donning specially designed 3D Minion goggles. 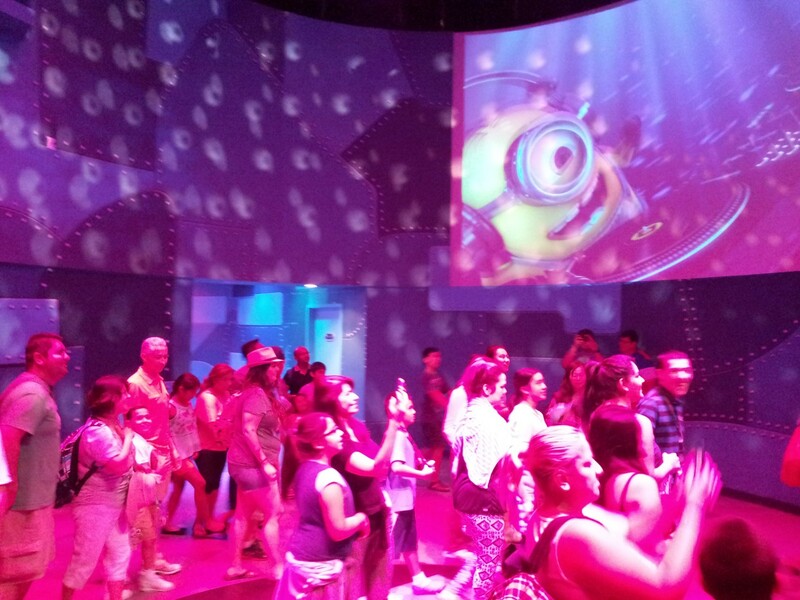 The fun continue in a post-show dance party where Minion walkaround characters invite guests to strut their stuff in an impromptu Minion-inspired dance party. This ride, although not as thrilling as most of our articled rides, definitely will be quite an immerseive experience. 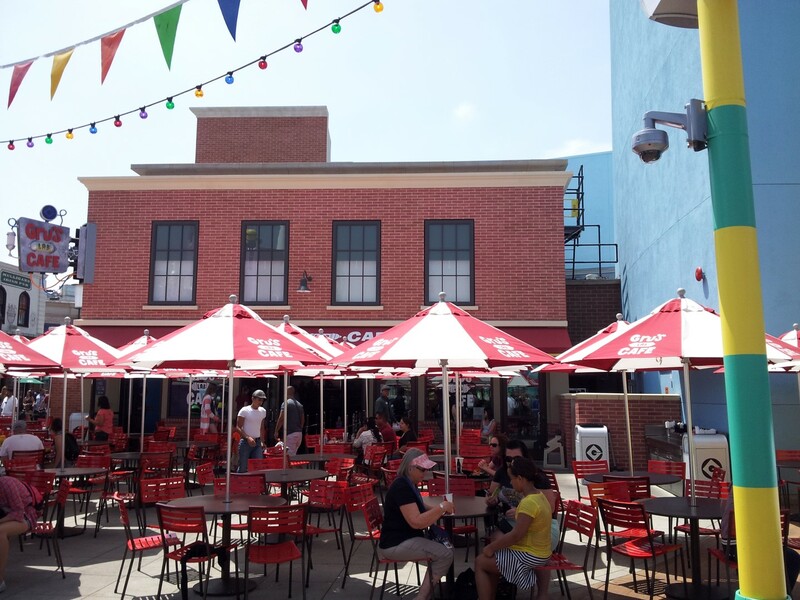 Check out this awesome Universal Studios Hollywood Quiz that was partially created by USHFans.com! If you get any wrong, why not try again? Yesterday, Wednesday the 27th was the official opening of Grinchmas at Universal Studios Hollywood! It was also the award ceremony for the Who-Manitarian of the year! Florence Henderson, the famous TV Mom, from Brady Bunch was handed the award this year! 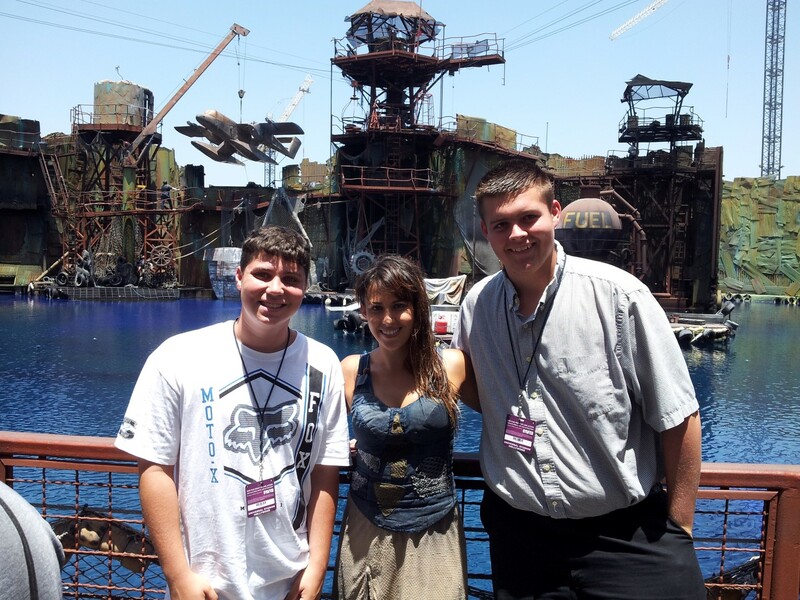 Below you’ll see pictures of the event Universal Studios Hollywood! We’ll be going to Grinchmas this winter, and a detailed update will follow soon! On November 14th, 2 days ago, Universal Studios Hollywood hosted the ‘Day of Giving’. An event in which homeless people, and especially children, could come out to receive school supplies, clothing, backpacks, and books. There was a lot of media attention for this great event! This year’s Day of Giving was; ‘Operation School Bell’, thus all the school supplies for the 250 homeless children. ABC7 and NBC4 came out to cover the event live, and so did our partners from USHFans.com. Universal Studios Hollywood had characters come to the event, to entertain the children. Some characters walking around the event were; Frankenstein, Shaggy, Scooby Doo, and Beetlejuice. There were lots of volunteers at this event, as well as park employees who decided to give a helping hand, creating an amazing group of people giving back to the community! For the only full-photo coverage of this event, please visit our partners of USHFans.com by clicking here. 2014 CA Season Pass prices. For today’s Tomorrow Tuesday we are looking ahead, and we are showing you all the Season Pass prices for the major CA Theme Parks. Please note that these are the regular passes! For more detailed info go to our Quick Links page, or our Current Ticket Prices page, or click on the name of the park below. 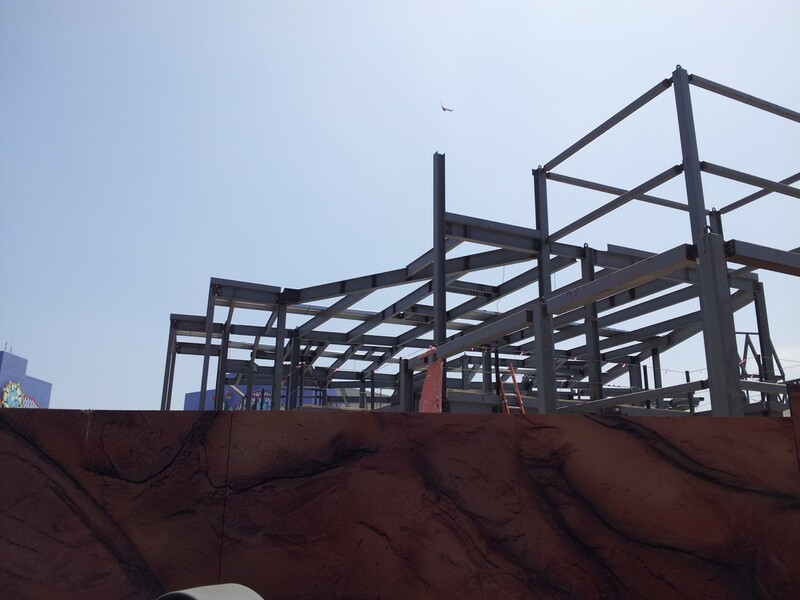 Gilroy Gardens – Not Available Yet. 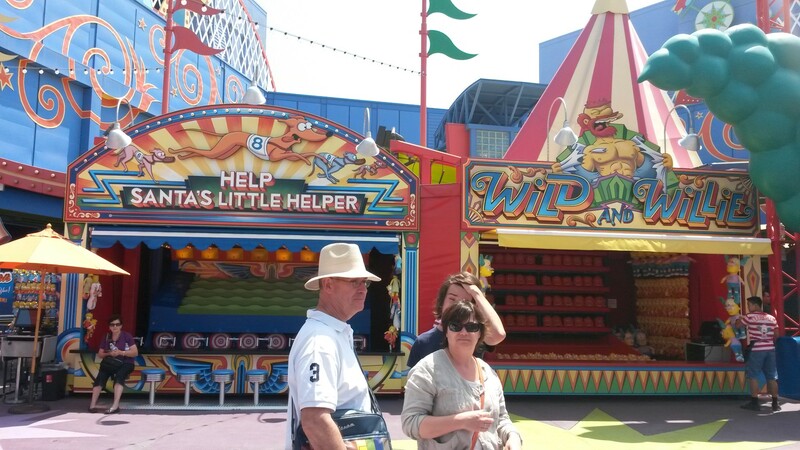 Belmont Park – Doesn’t use a season-pass program. Scandia Amusement Park – Doesn’t use a season-pass program.